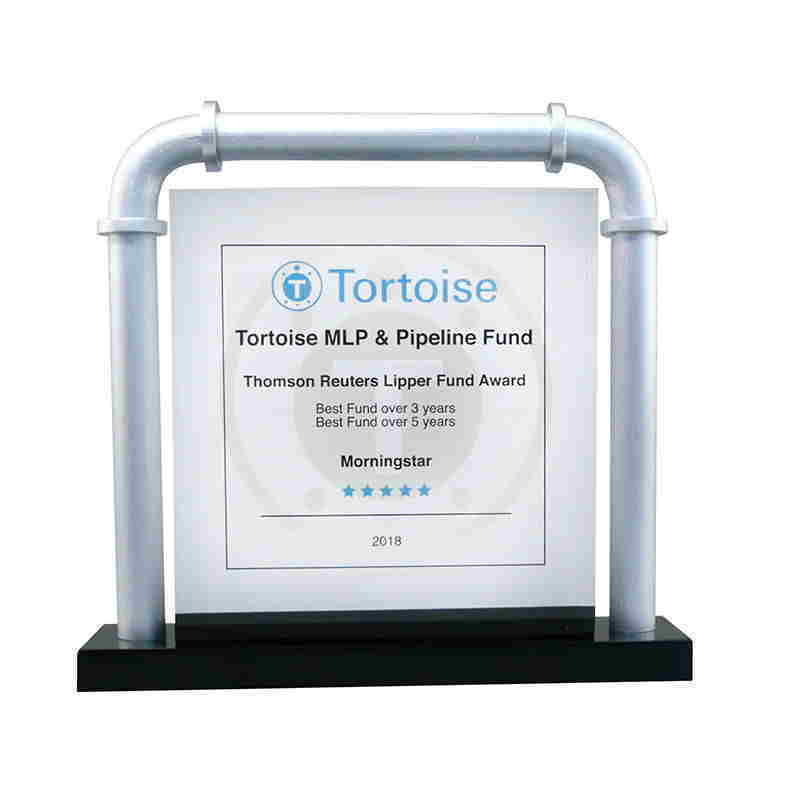 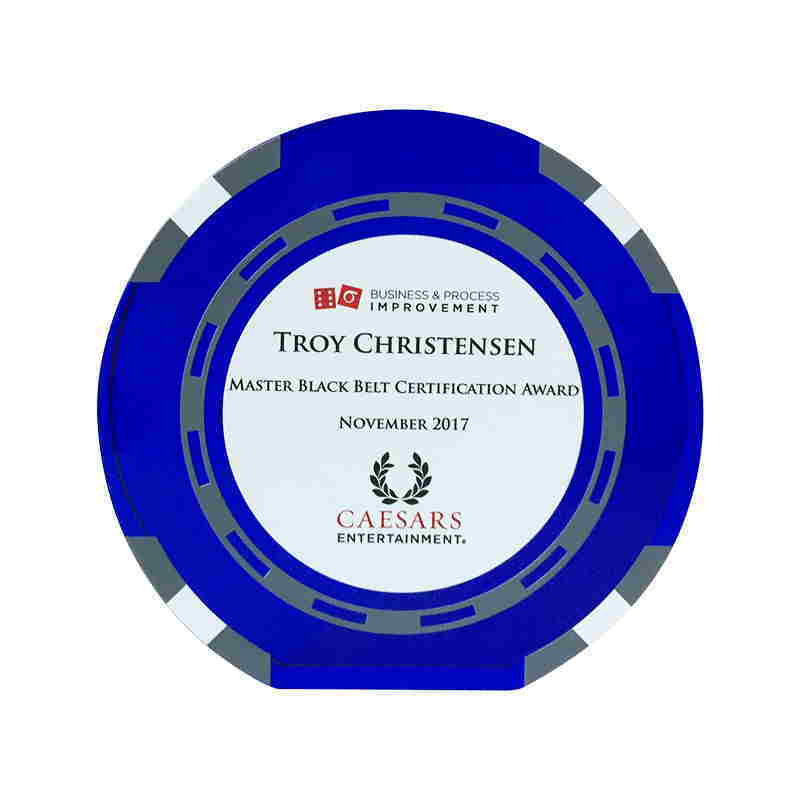 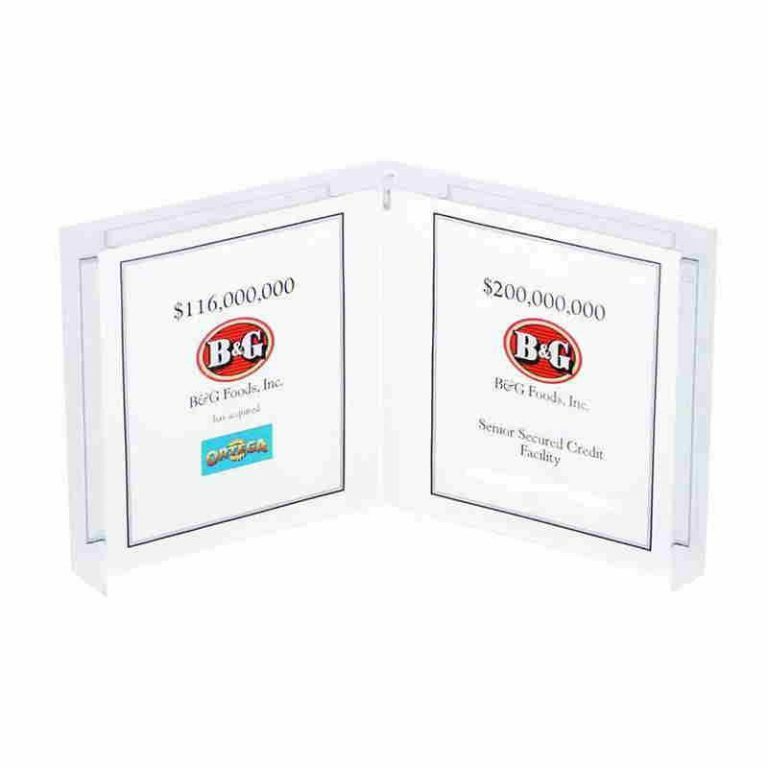 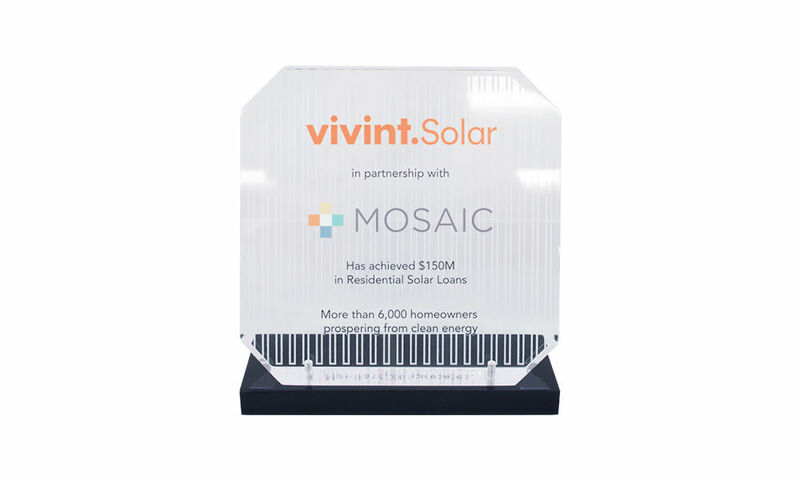 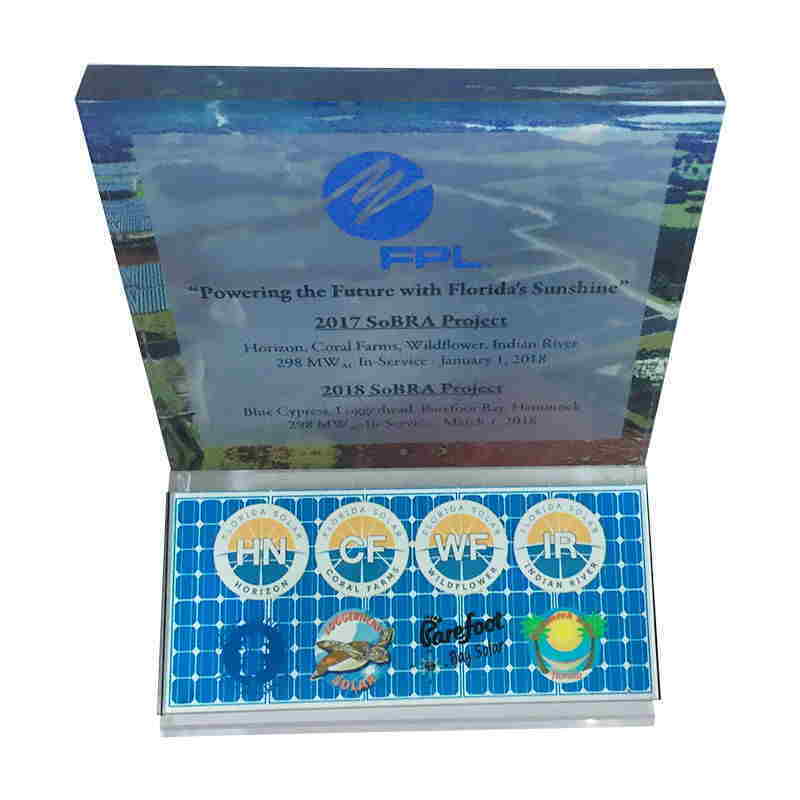 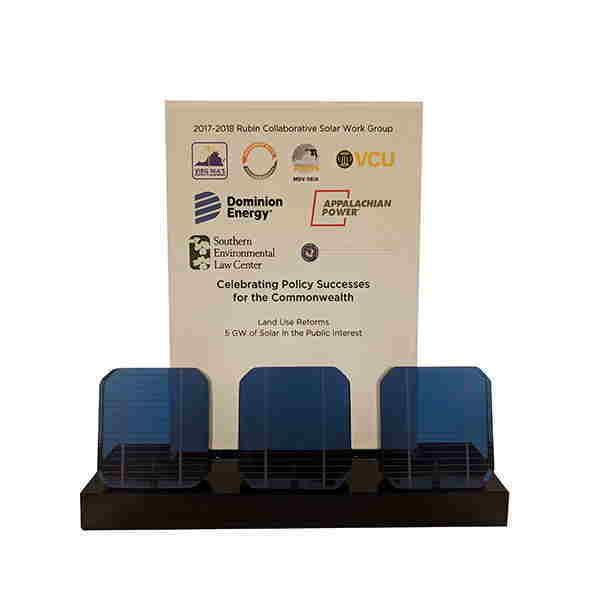 The gallery below shows just some of the many ways you can customize awards to reflect your industry, product, or service. 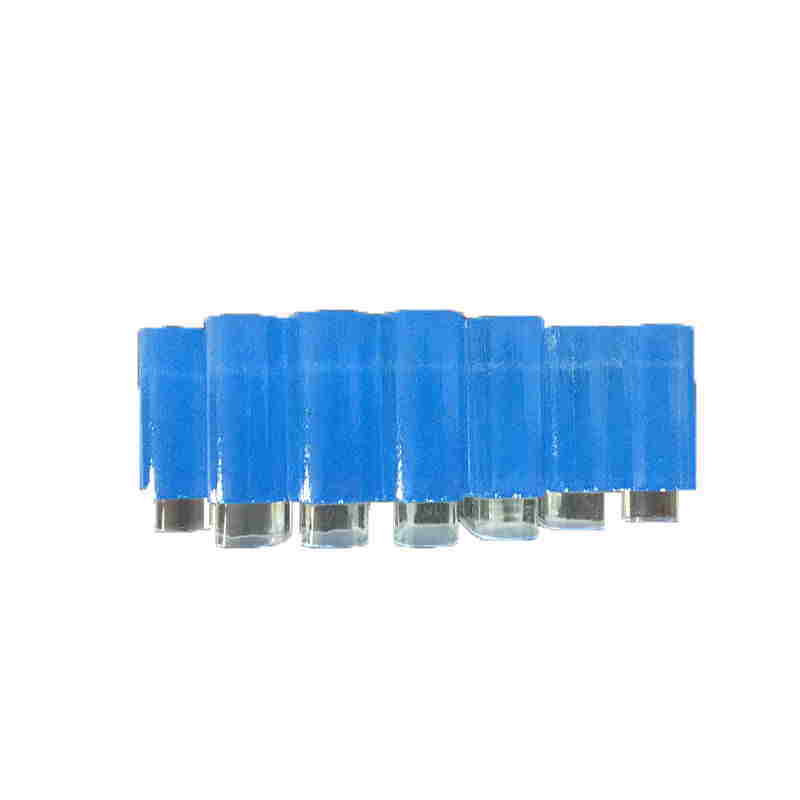 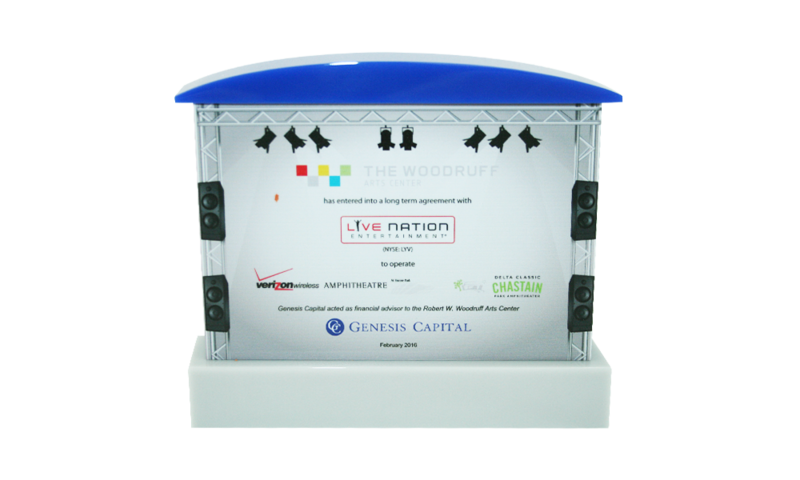 We can provide you with design options, or work of any initial ideas or concepts you may have. 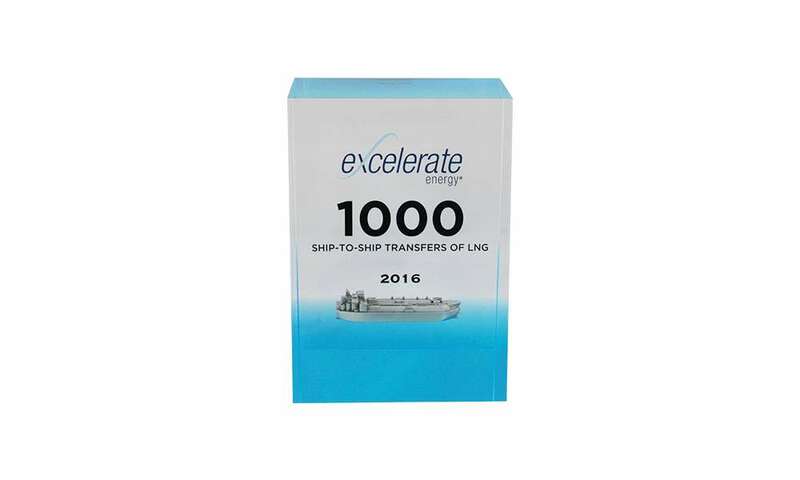 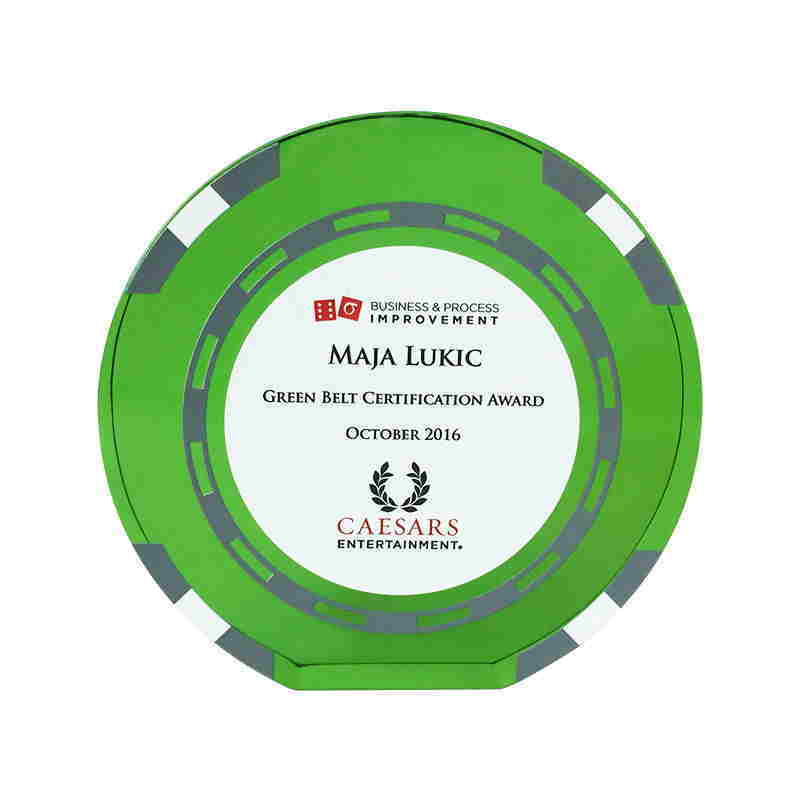 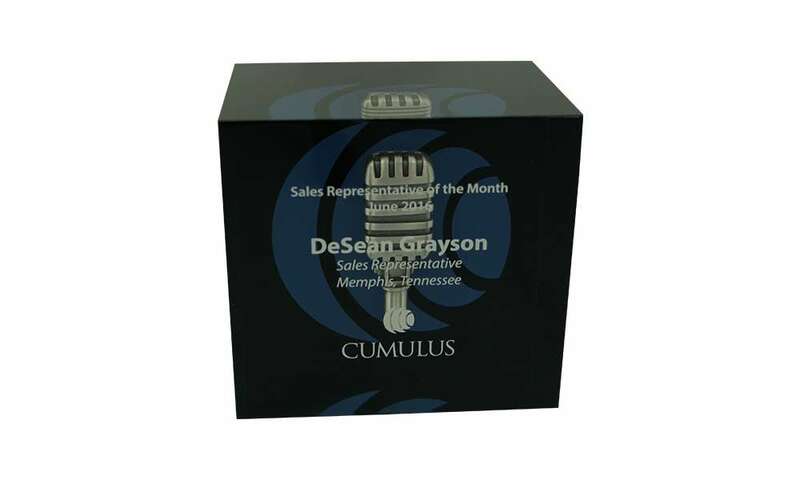 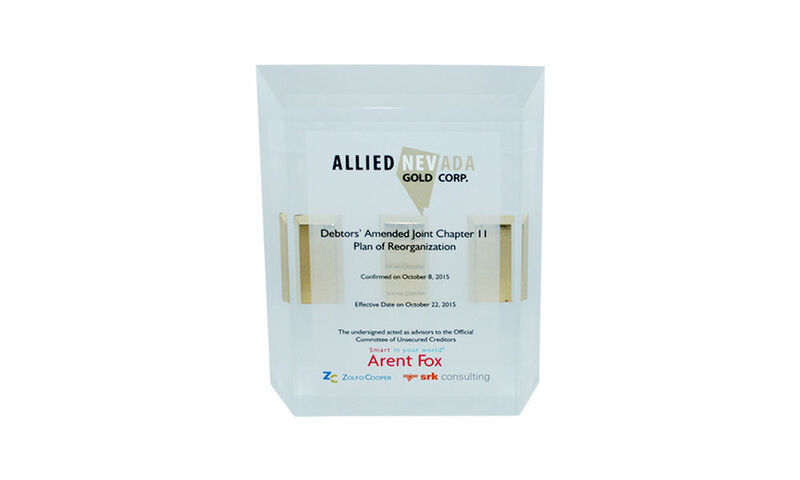 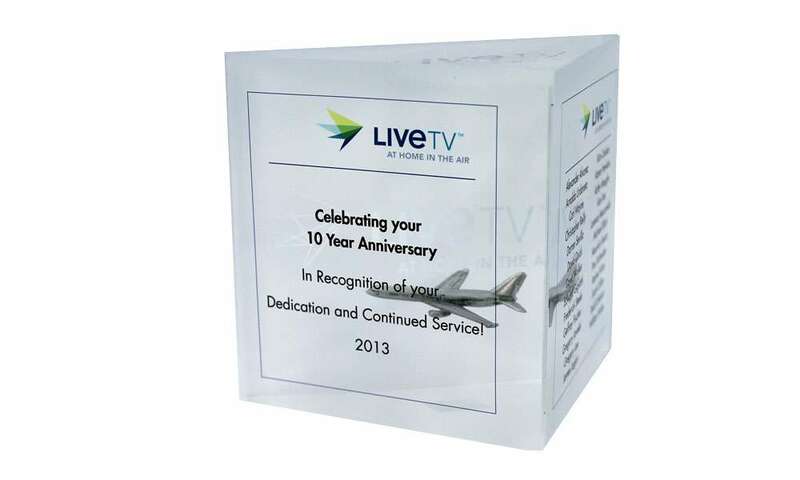 We have over 30 years of experience designing distinctive custom awards that resonate with colleagues and clients. 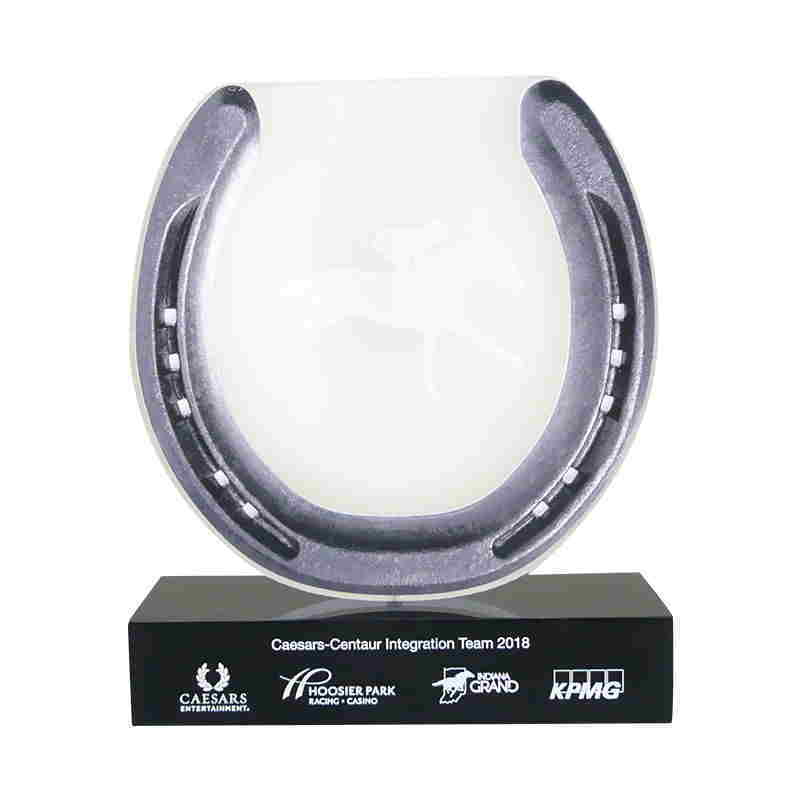 Custom acrylic award recognizing as Gold Cup members of the Home Depot Merchandising Execution Team. 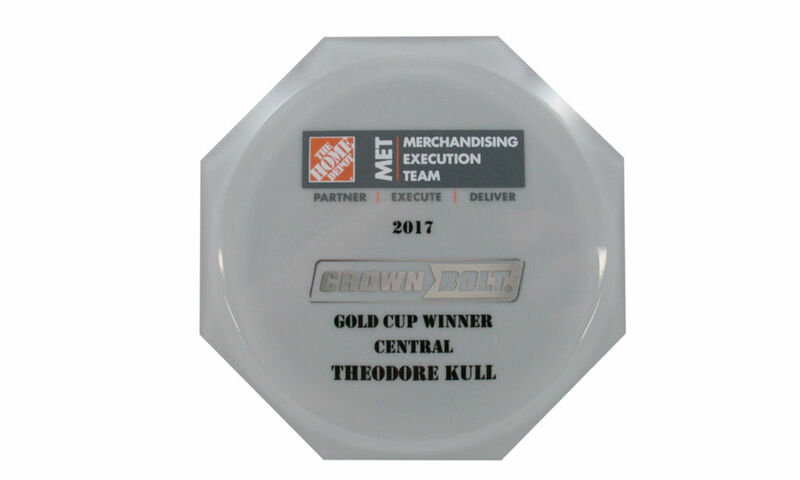 Bolt-themed custom acrylic Gold Cup award recognizing members of Merchandising Execution Team at Home Depot. 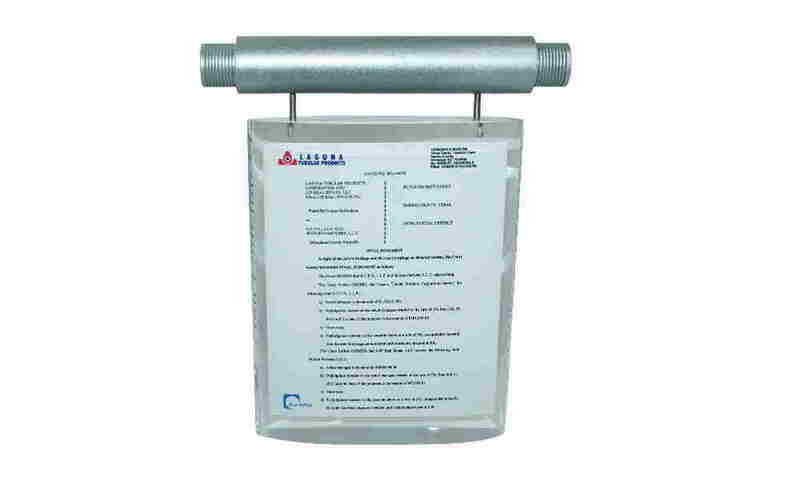 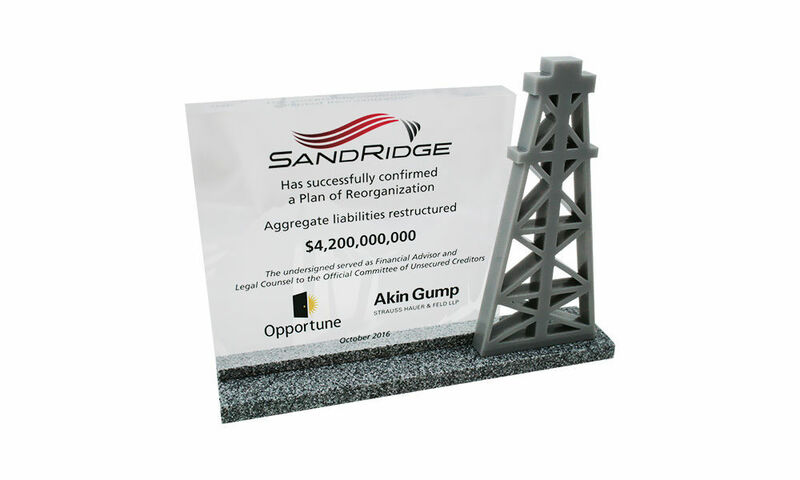 Oil barrel-themed tombstone with embedded vial of oil marking a court ruling under Canadian bankruptcy law. 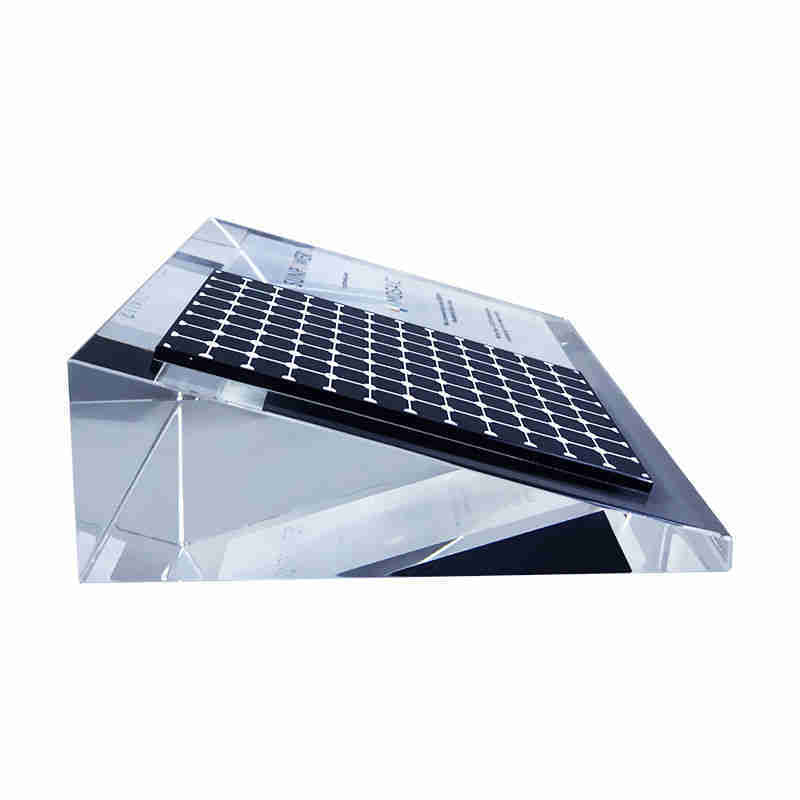 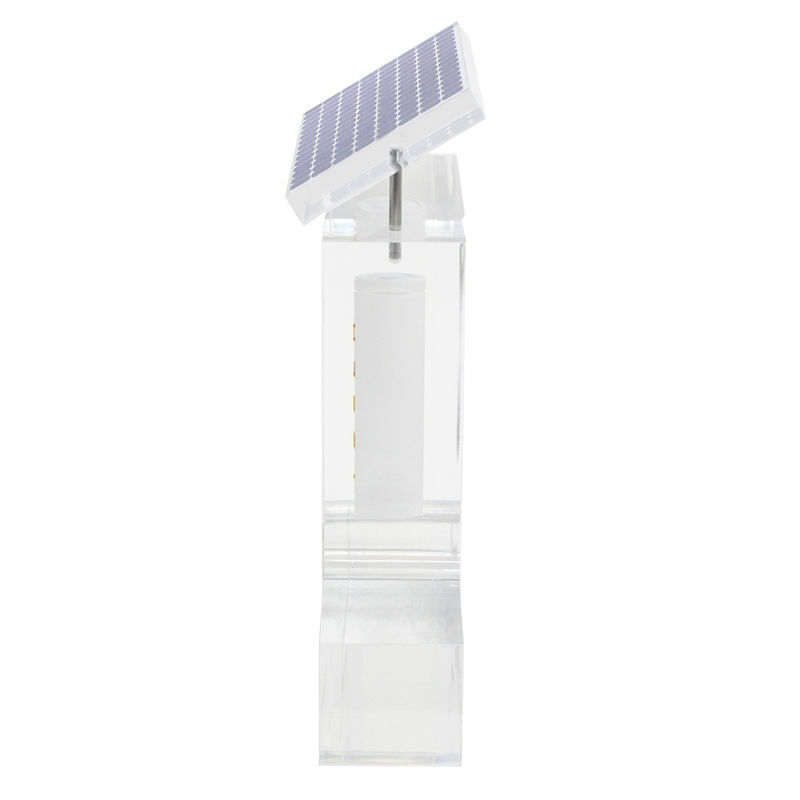 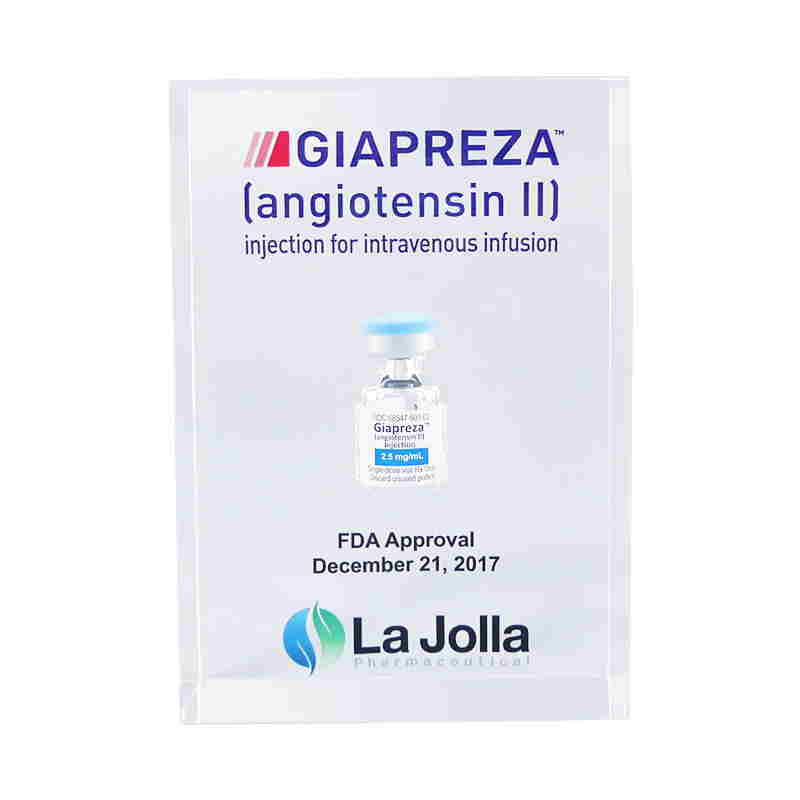 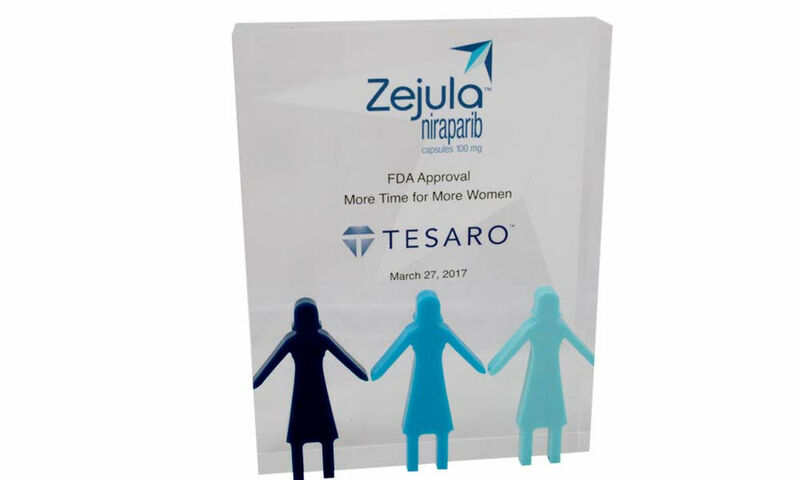 Custom Lucite celebrating approval by the US Food and Drug Administration (FDA) of Zejula, developed for women with certain types of ovarian, fallopian tube, or peritoneal cancers. 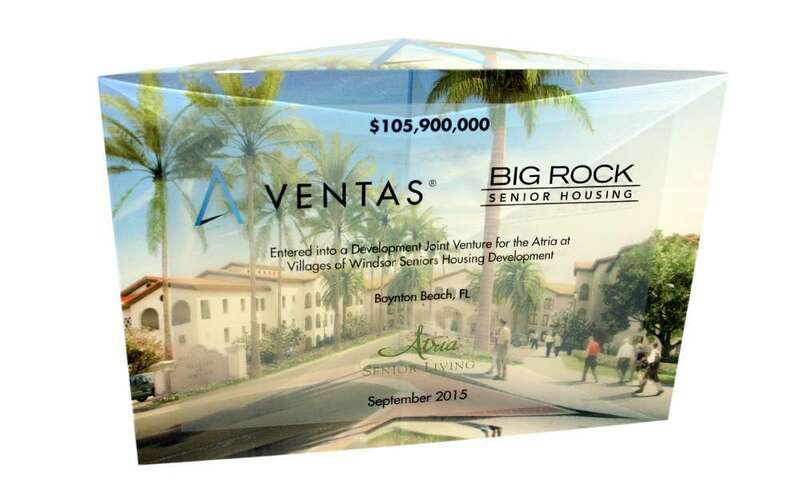 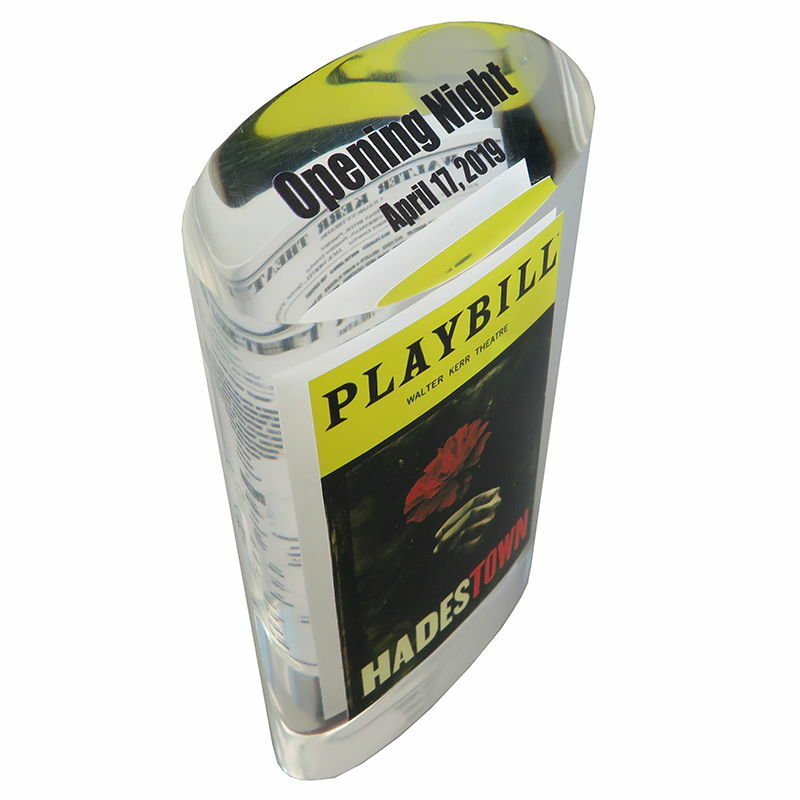 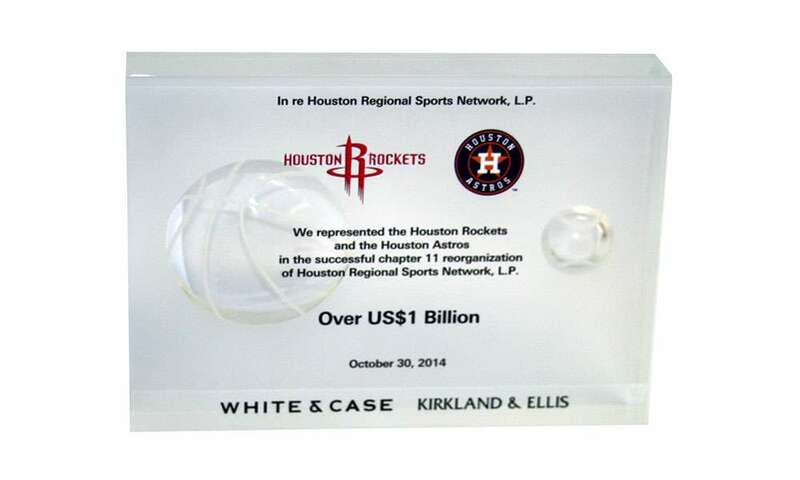 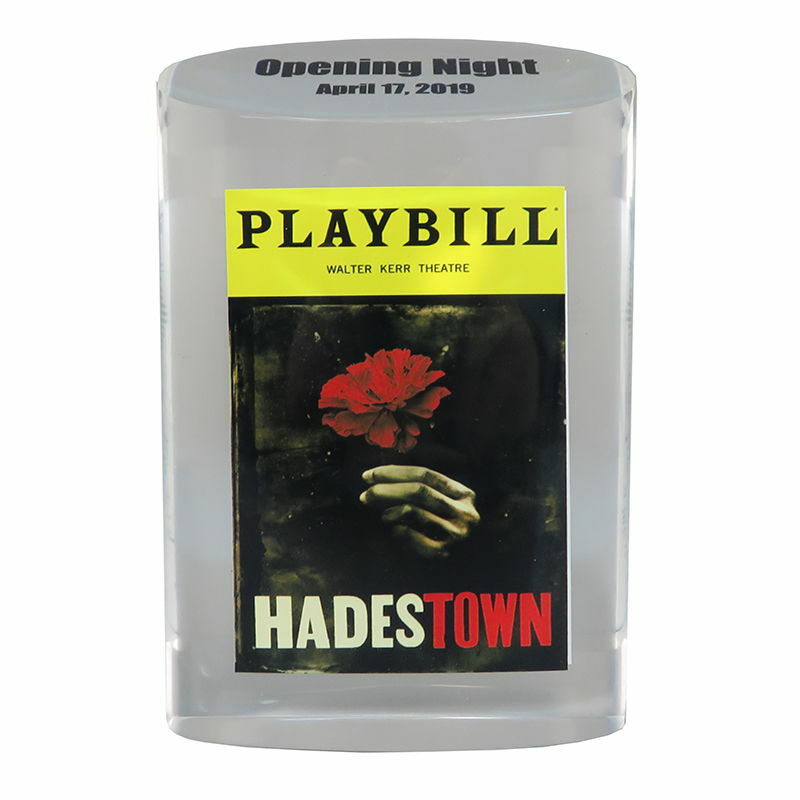 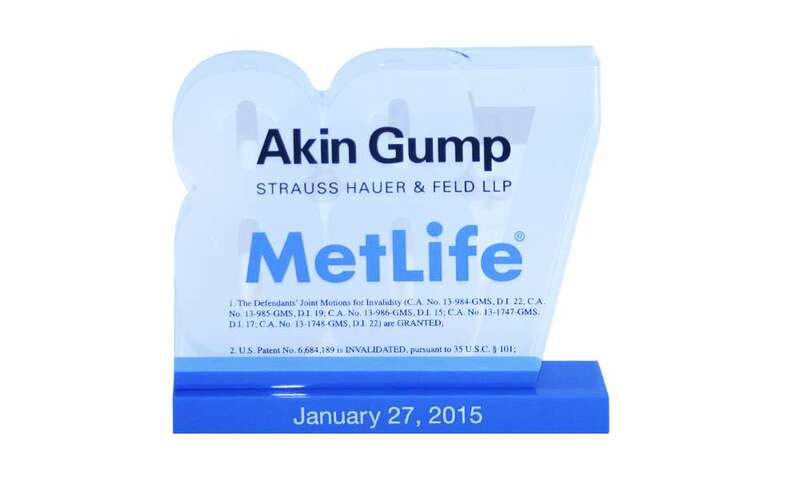 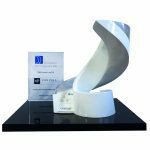 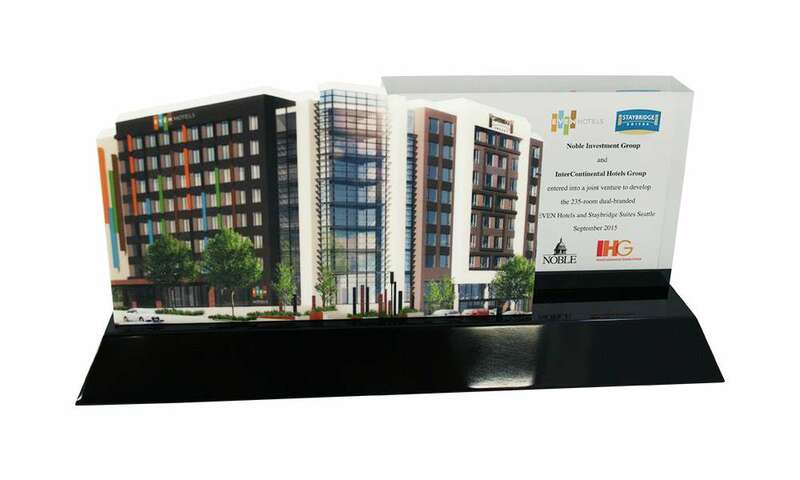 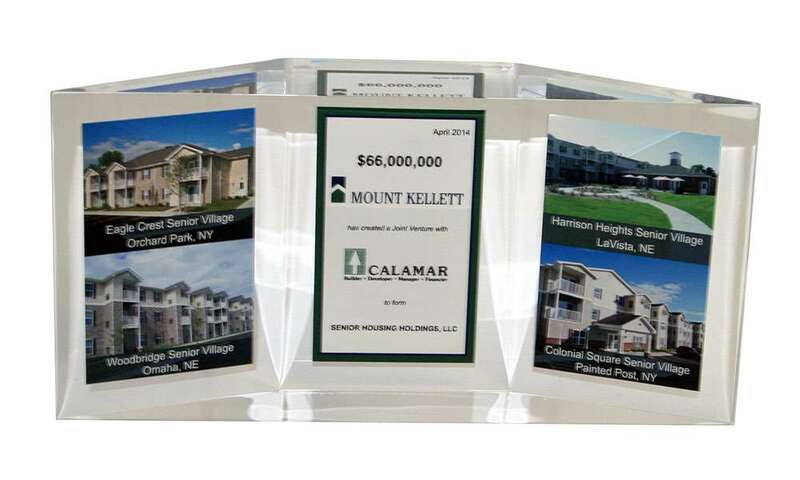 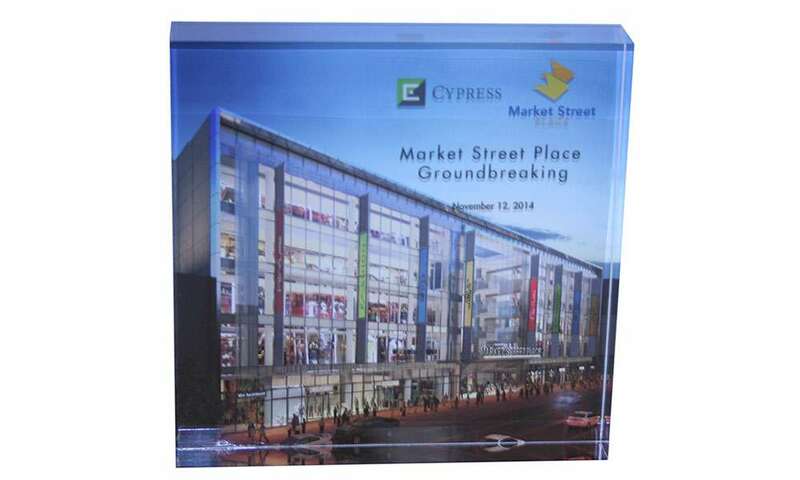 Custom acrylic award commemorating the closing of the Harrison Street Real Estate Partners IV fund. 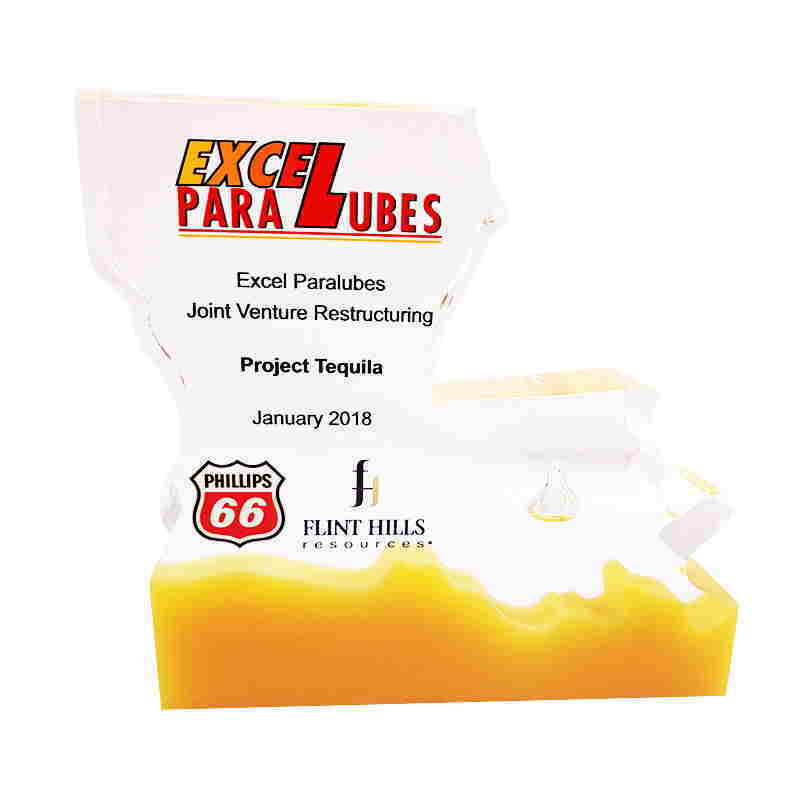 The Chicago-based fun specializes in real estate investment opportunities in the education, healthcare, and storage sectors. 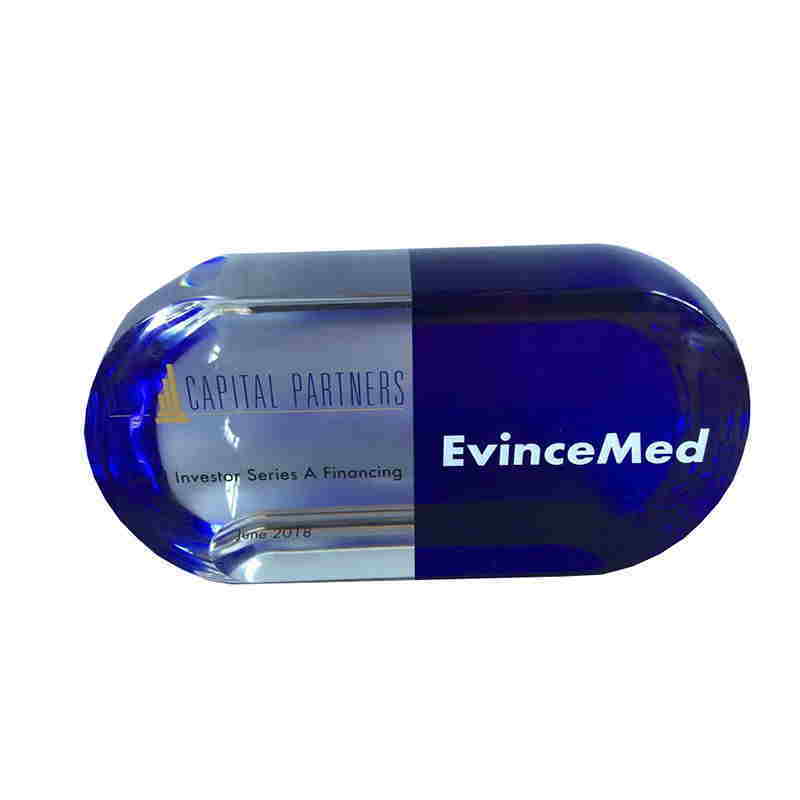 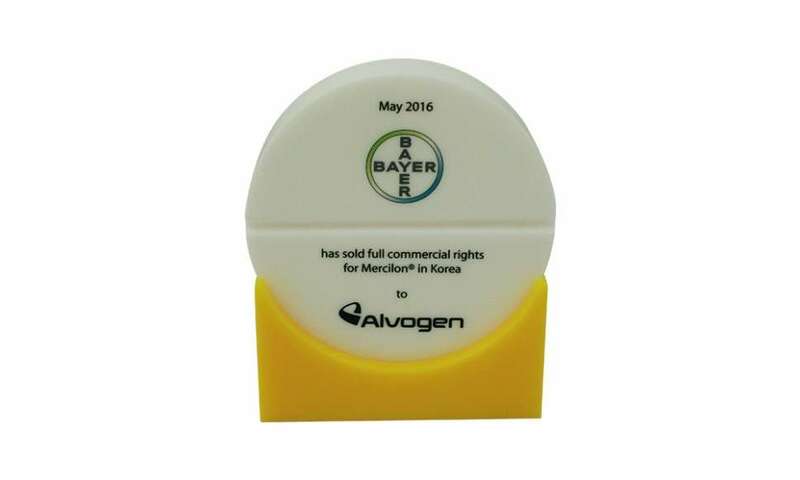 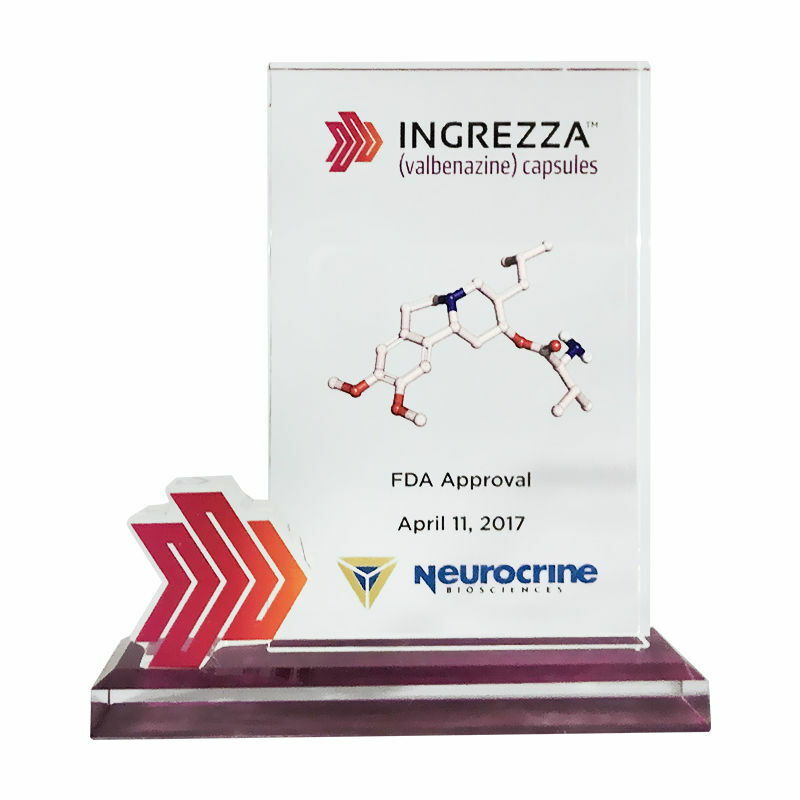 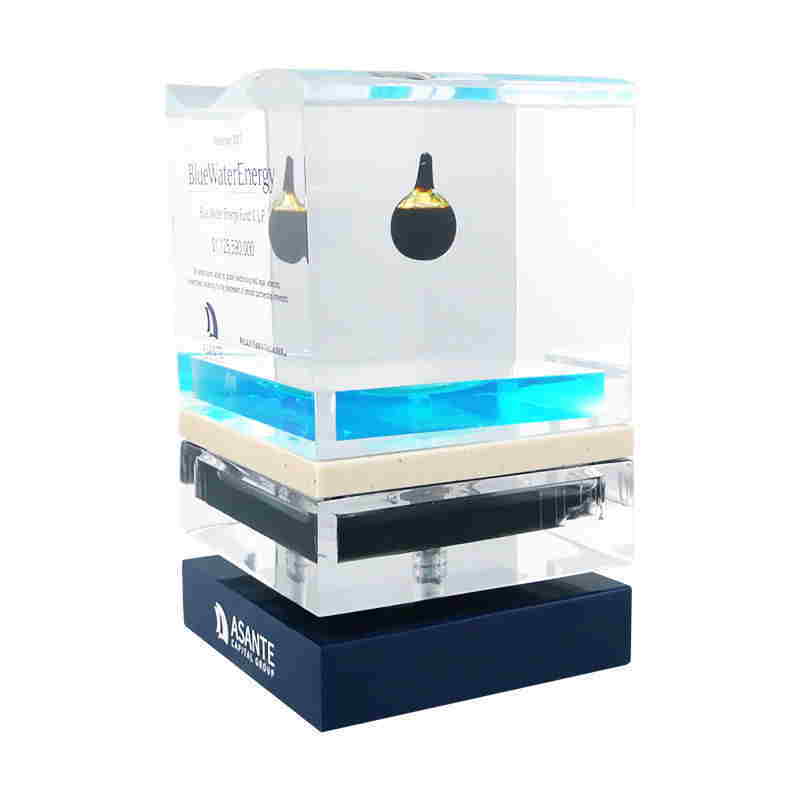 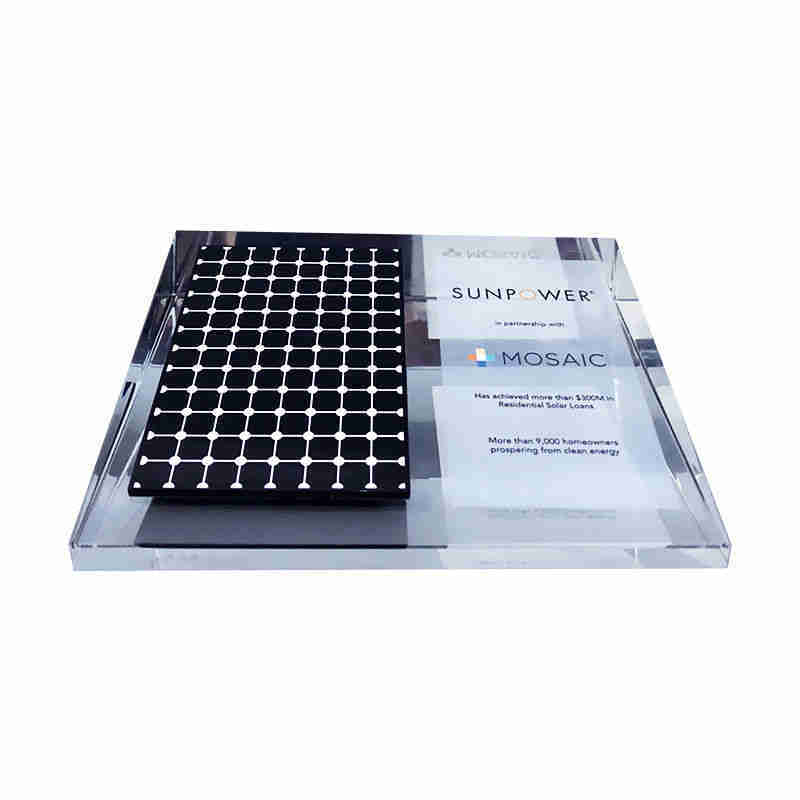 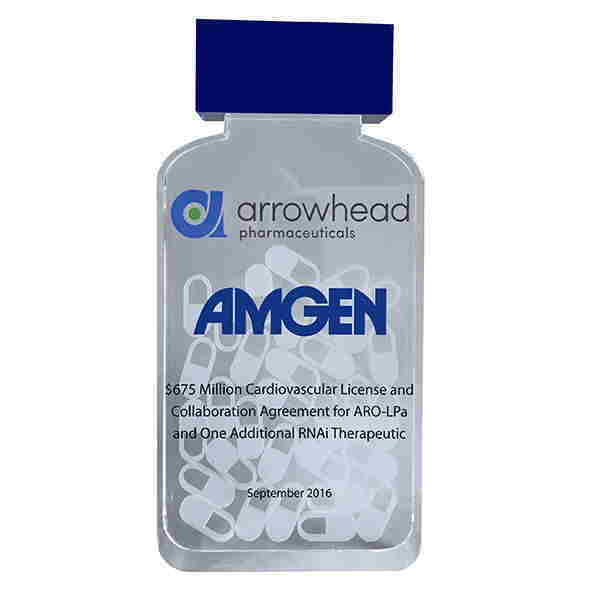 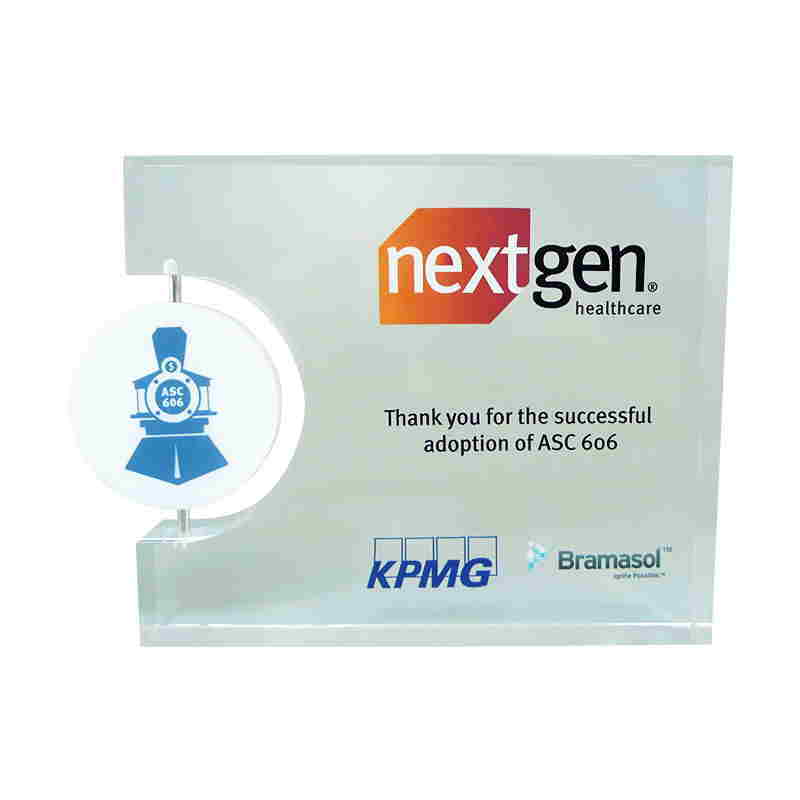 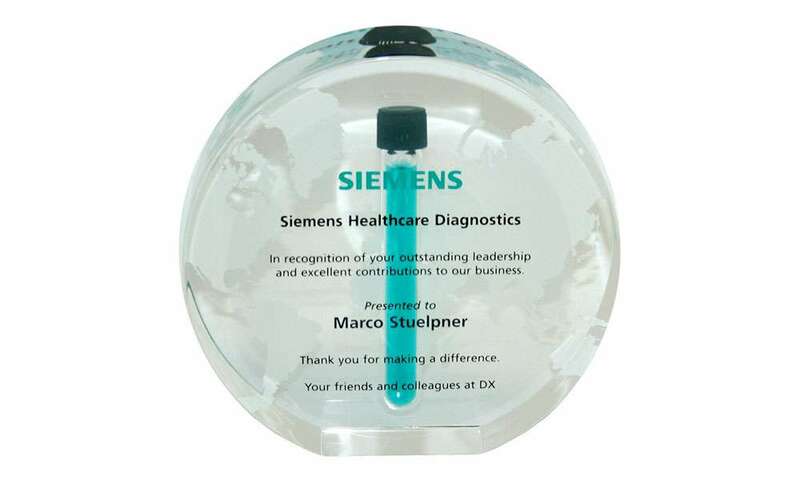 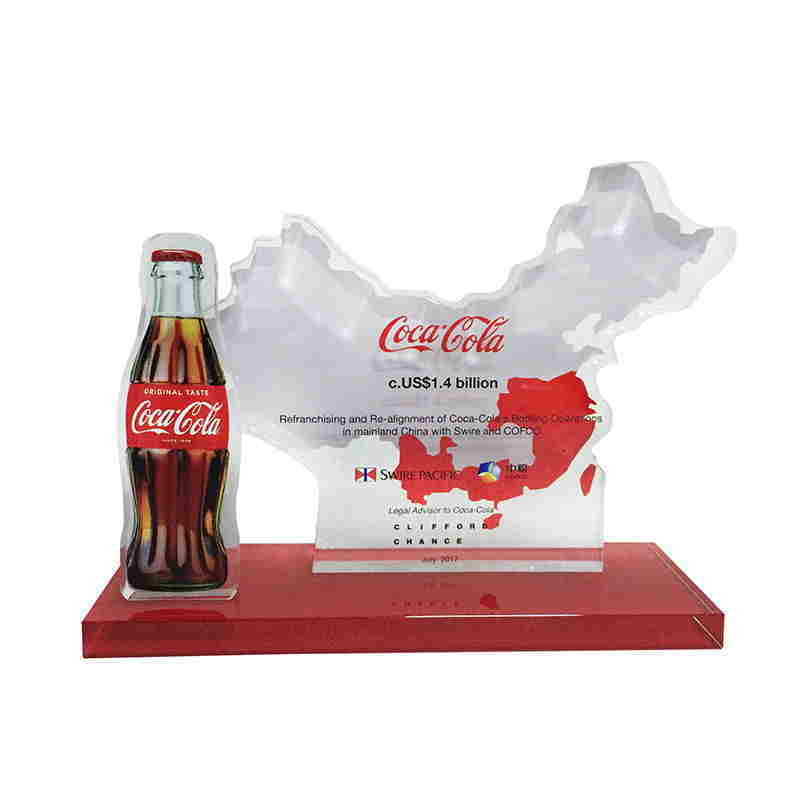 Pill-themed custom acrylic award marking the sale by pharmaceutical firm Bayer of commercial rights in South Korea for the drug Mercilon. 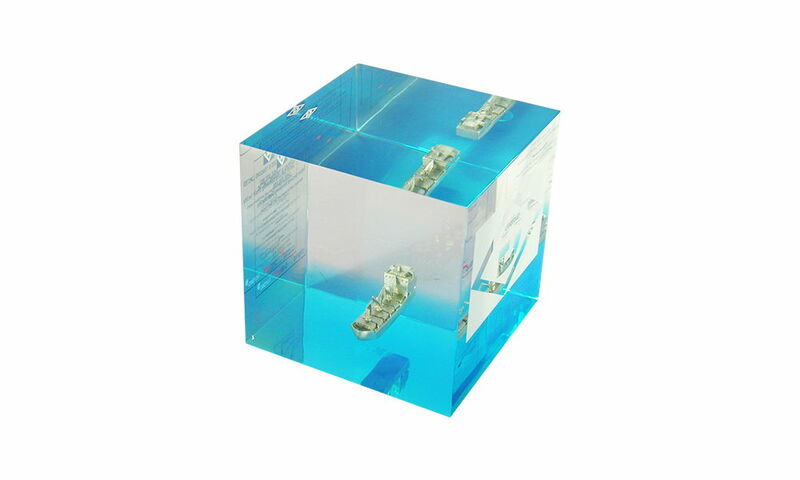 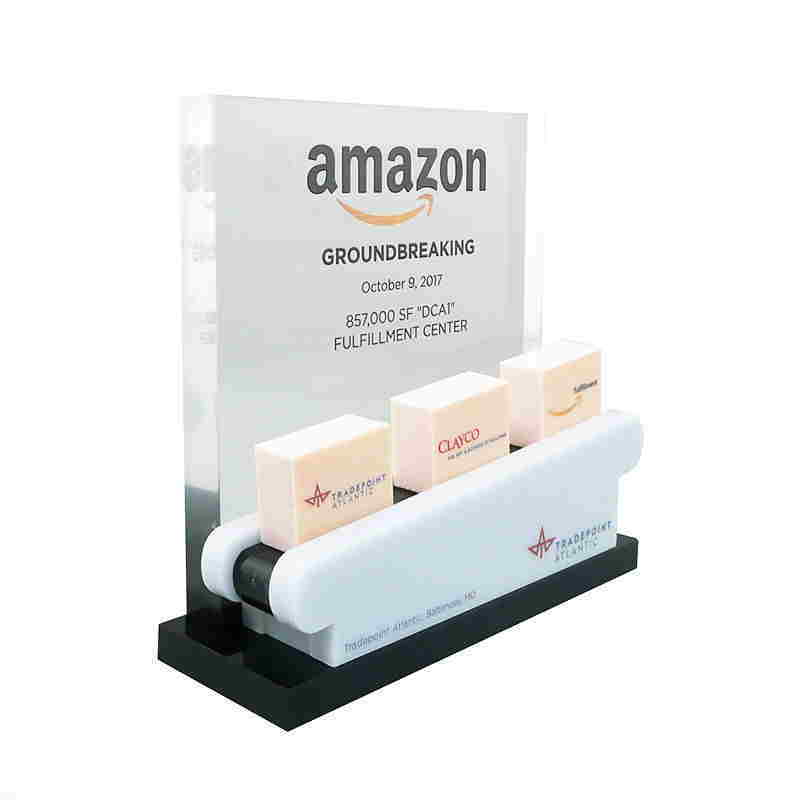 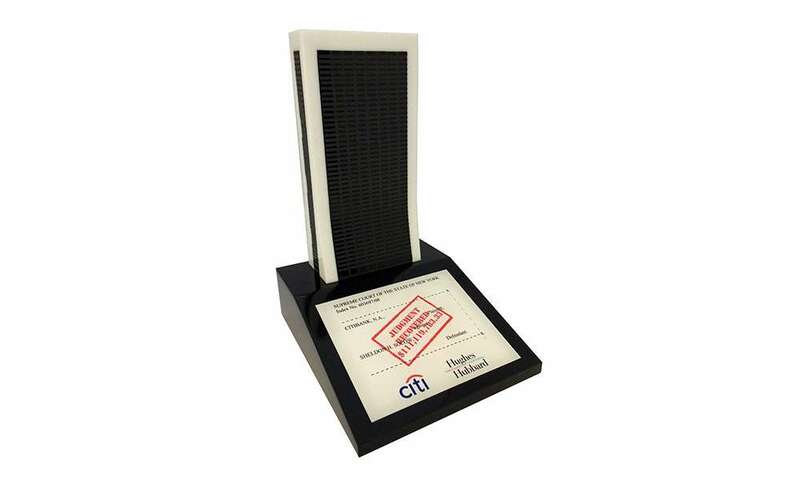 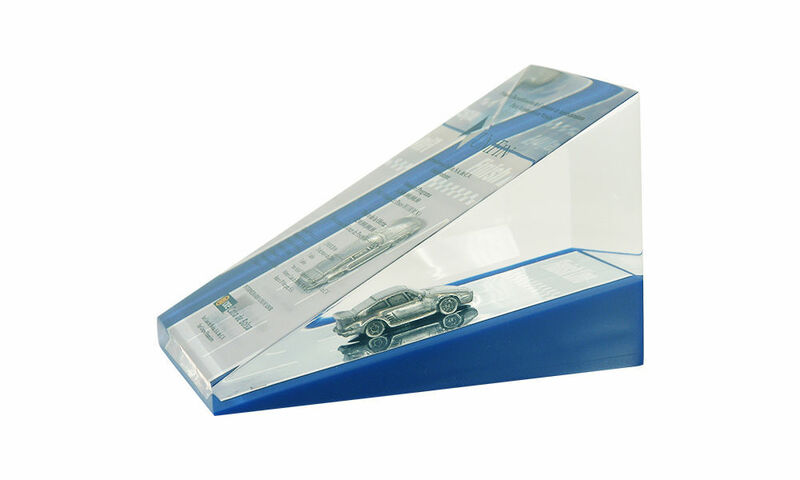 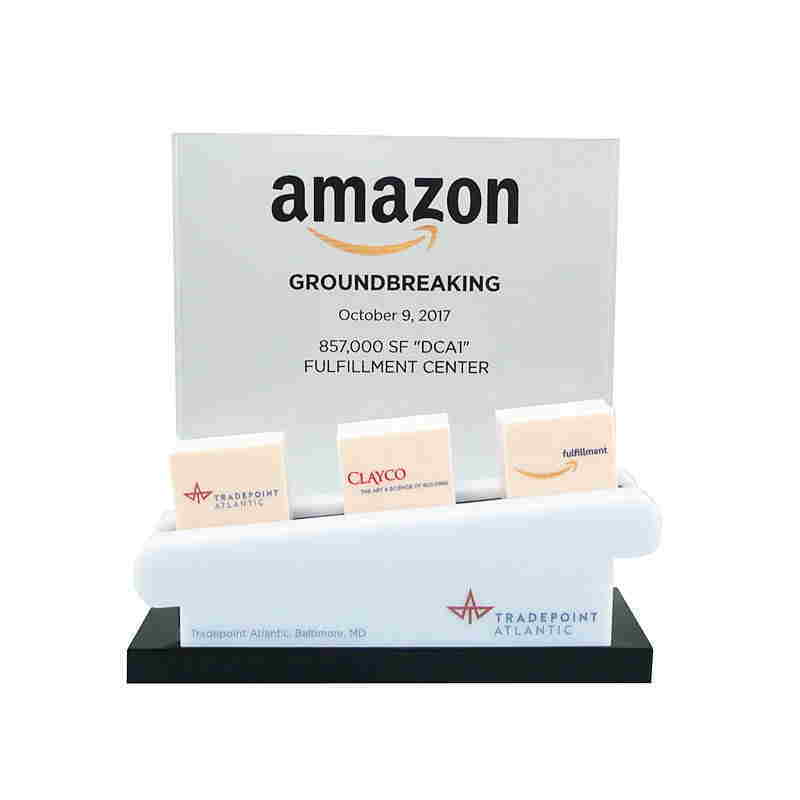 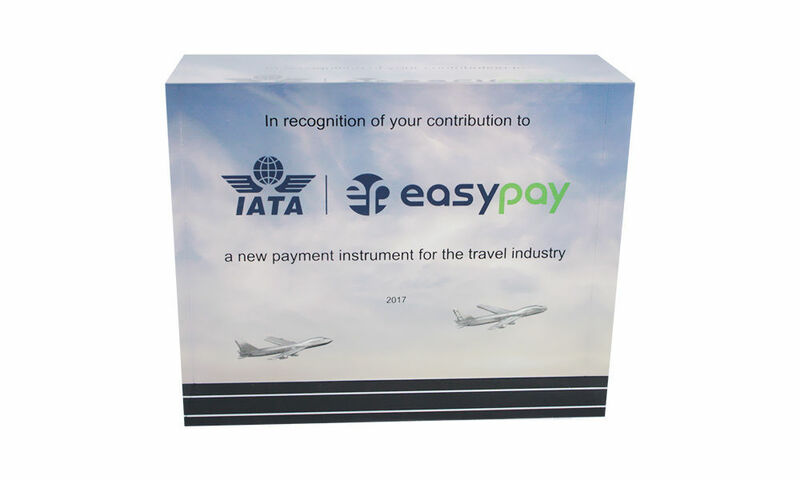 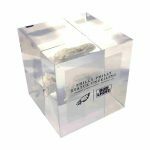 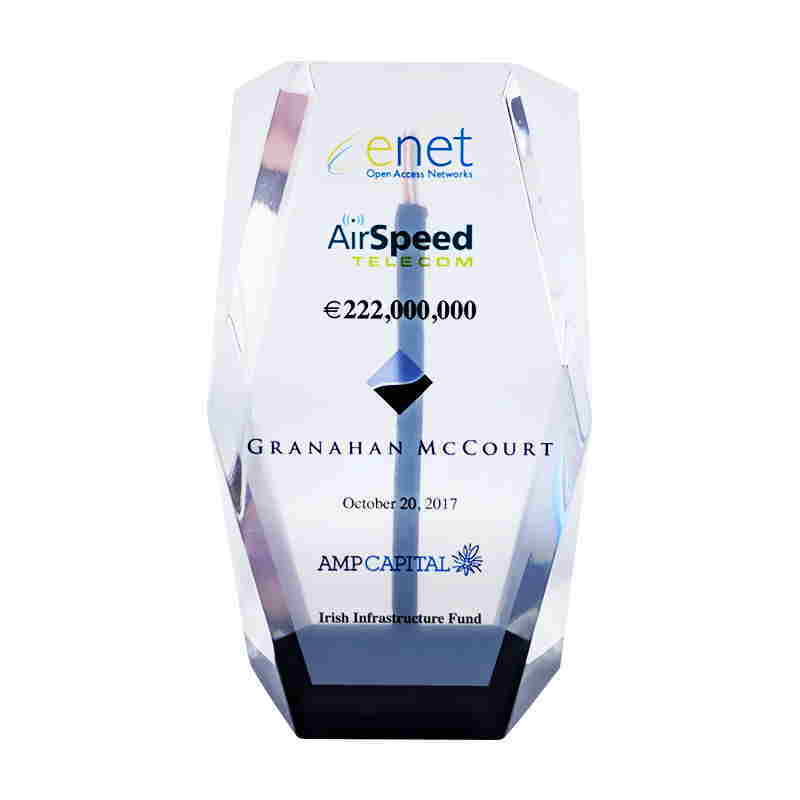 Airplane-themed custom acrylic award recognizing contributions to the development of EasyPay, an e-wallet payment system developed for airlines and travel agents. 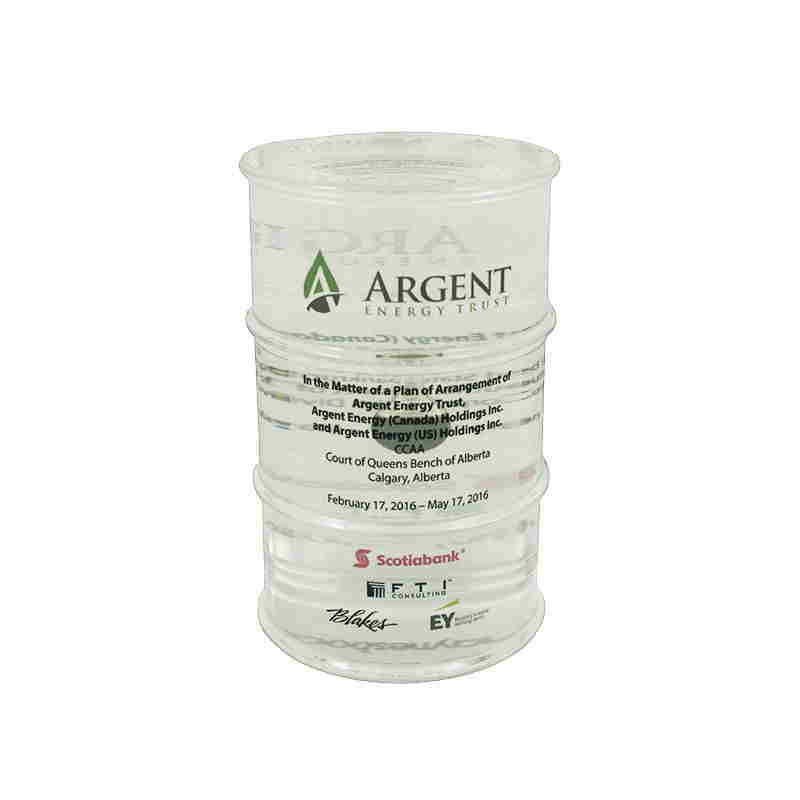 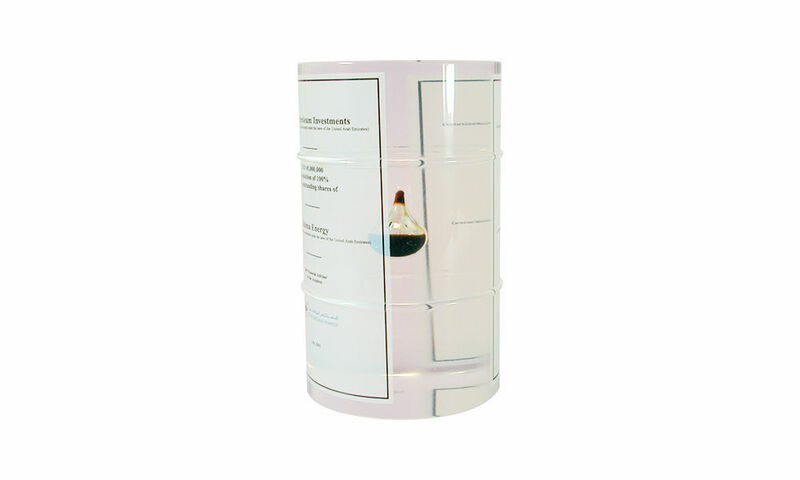 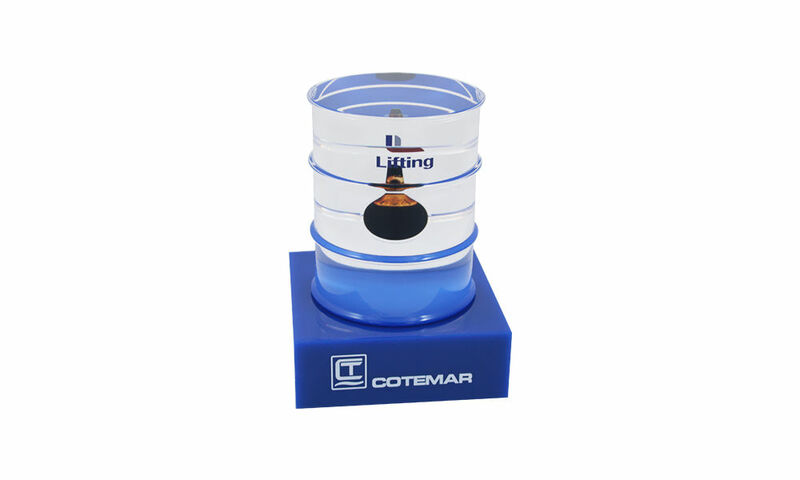 Custom Lucite oil drum with embedded vial of oil. 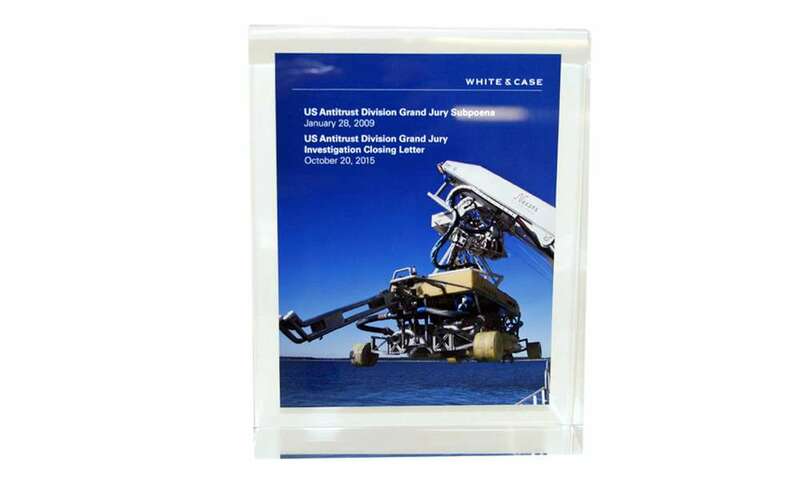 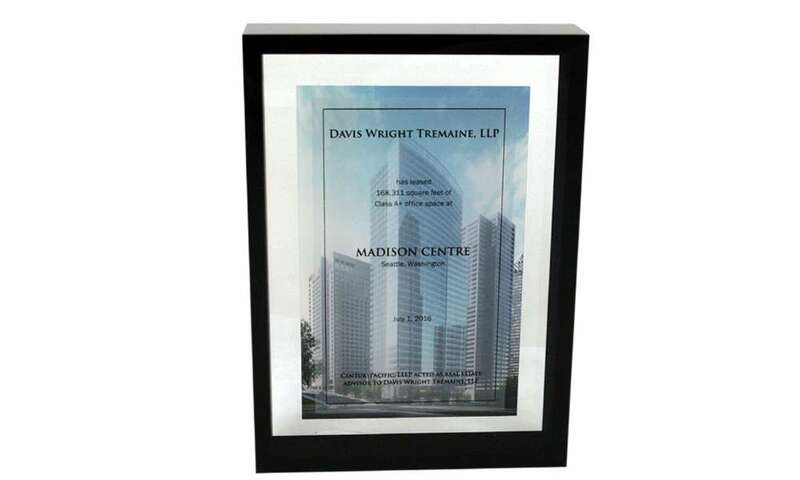 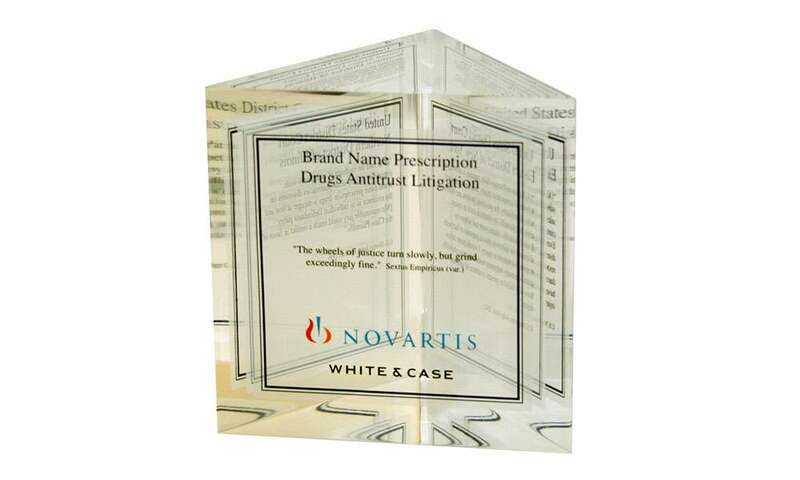 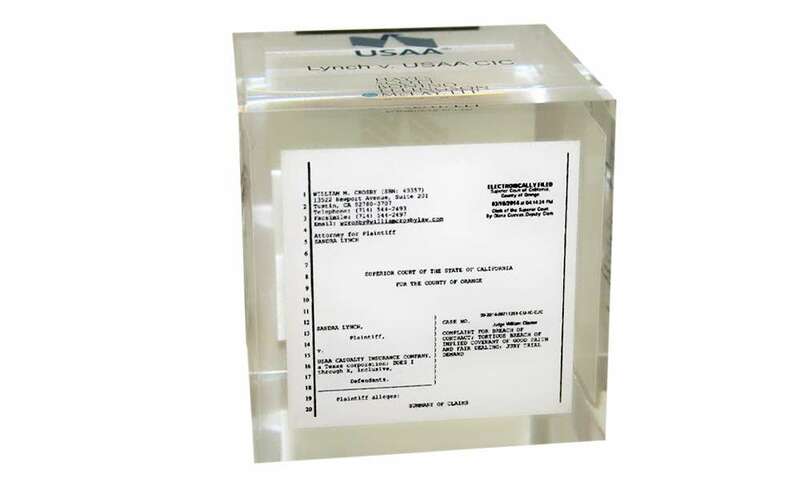 Custom Lucite commemorating a commercial lease signing by law firm Davis Wright Tremaine. 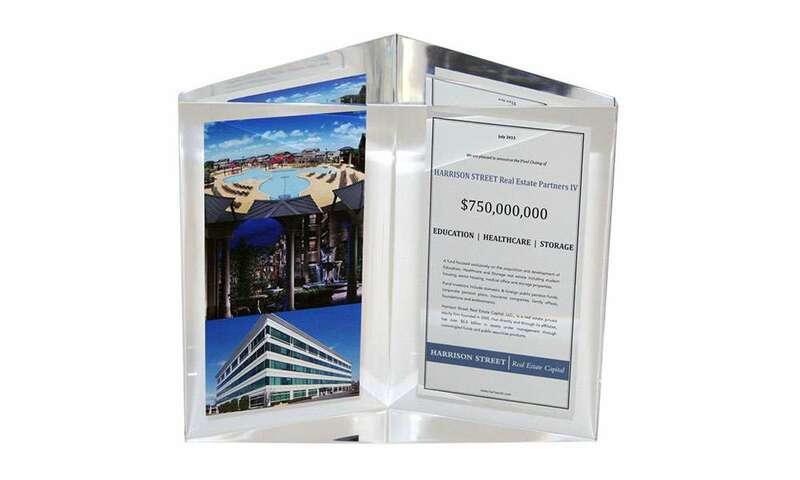 The lease was for 8 floors in Madison Centre, a 37-story building located in Seattle, Washington. 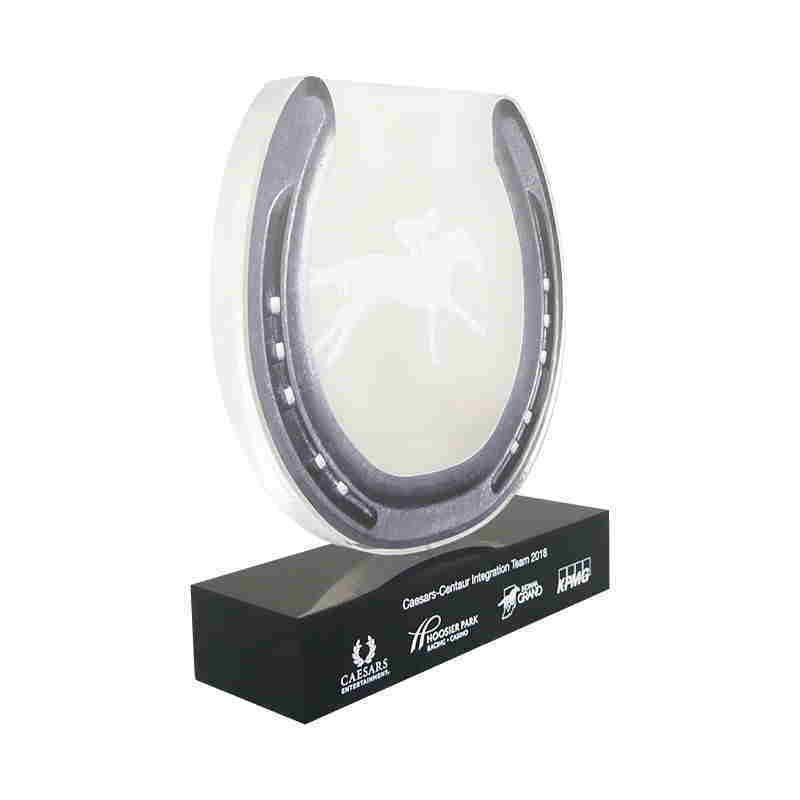 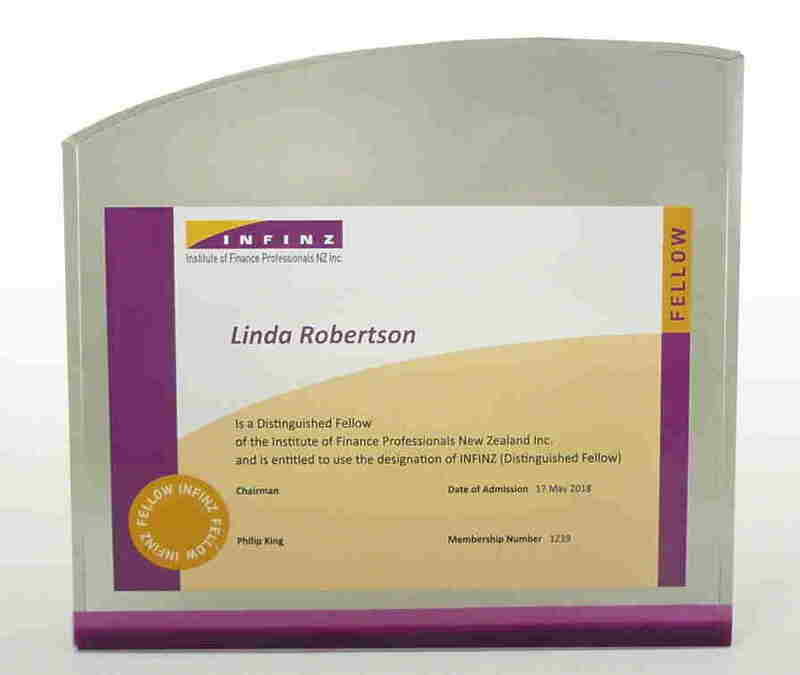 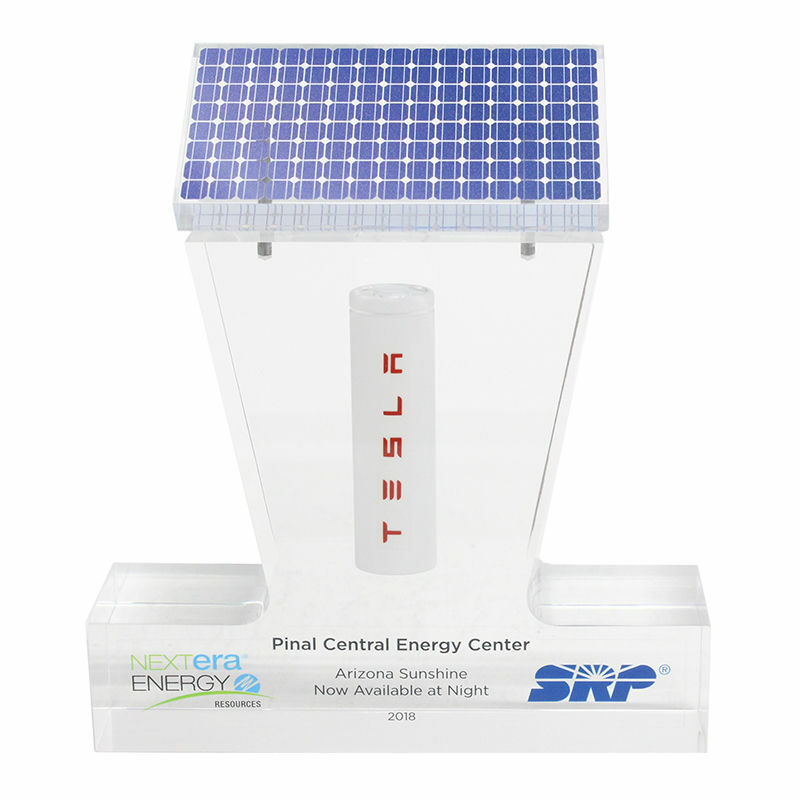 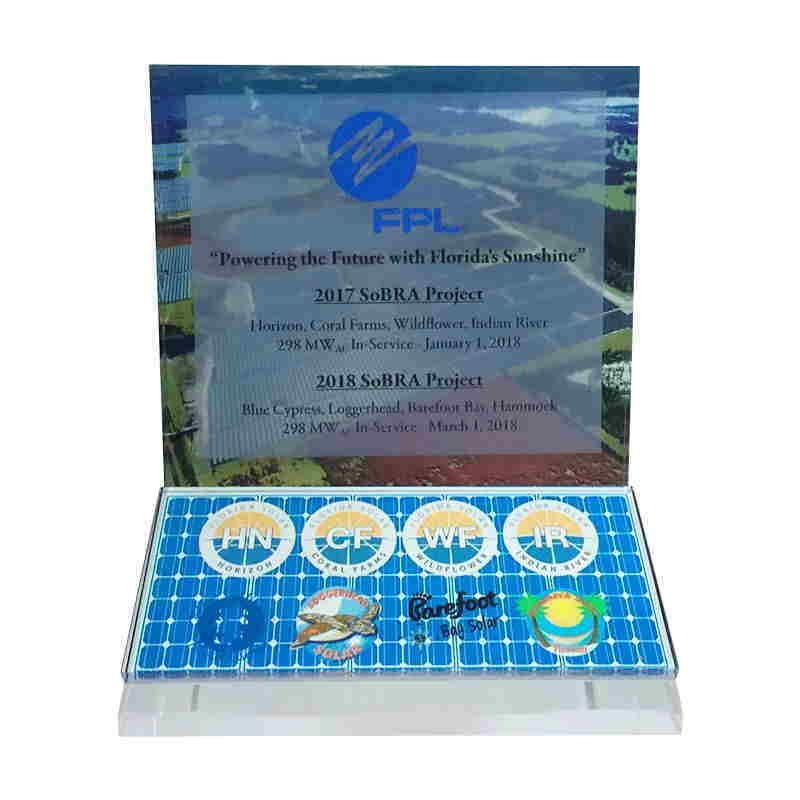 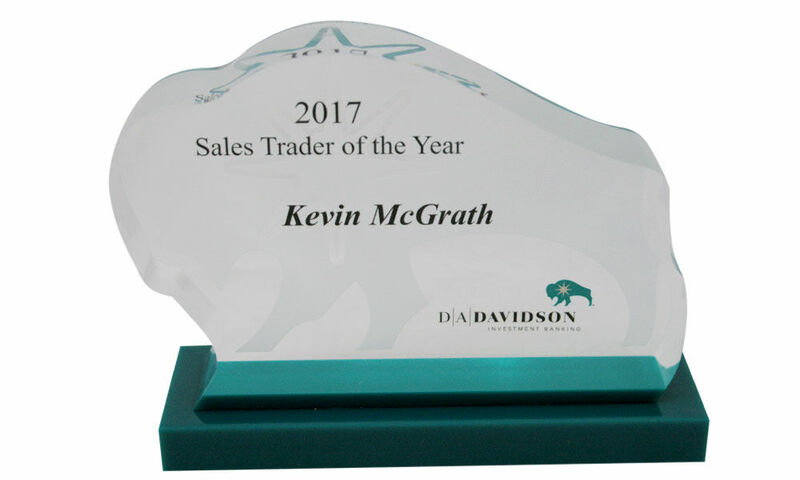 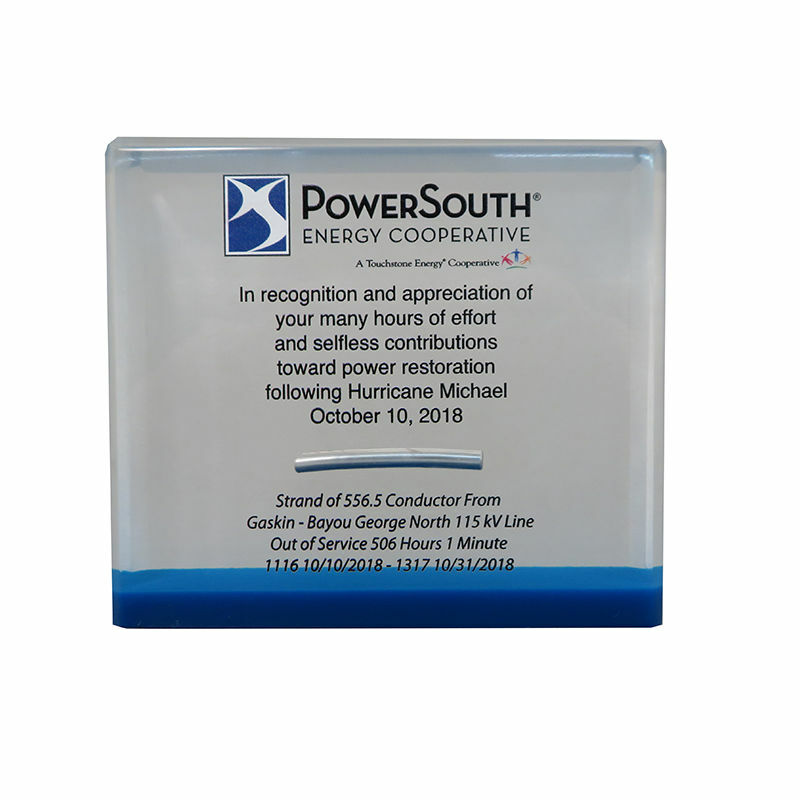 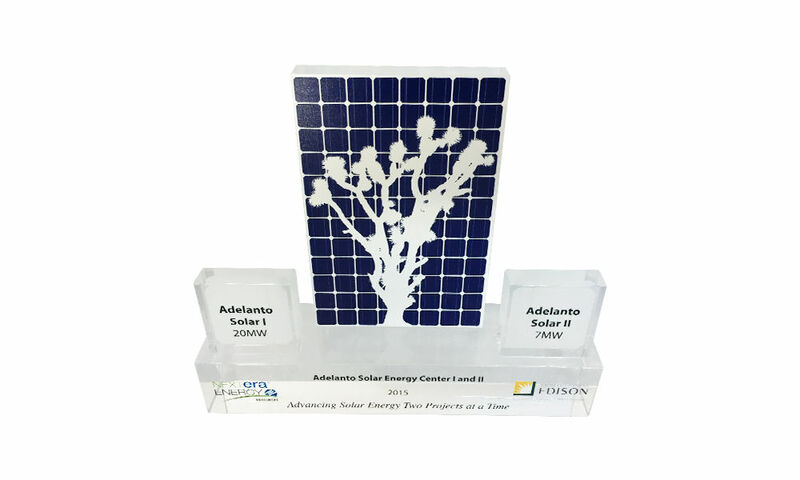 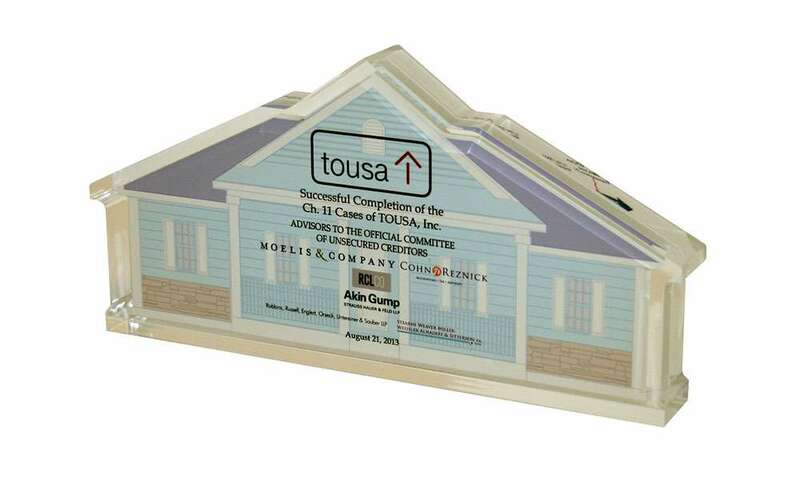 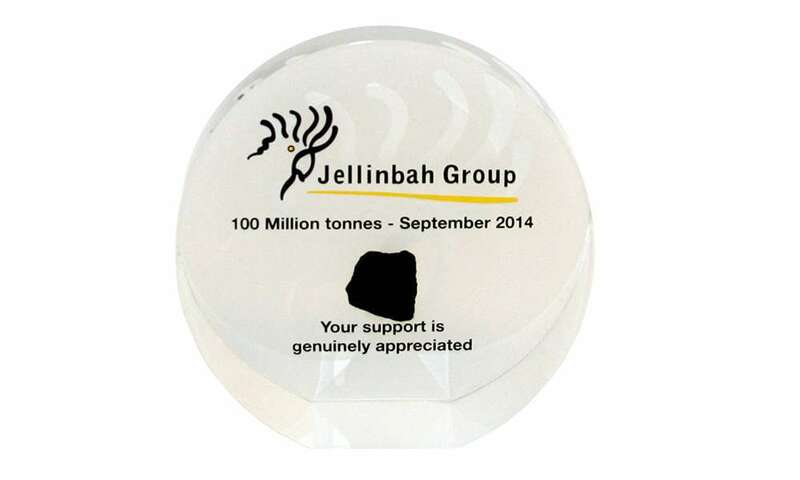 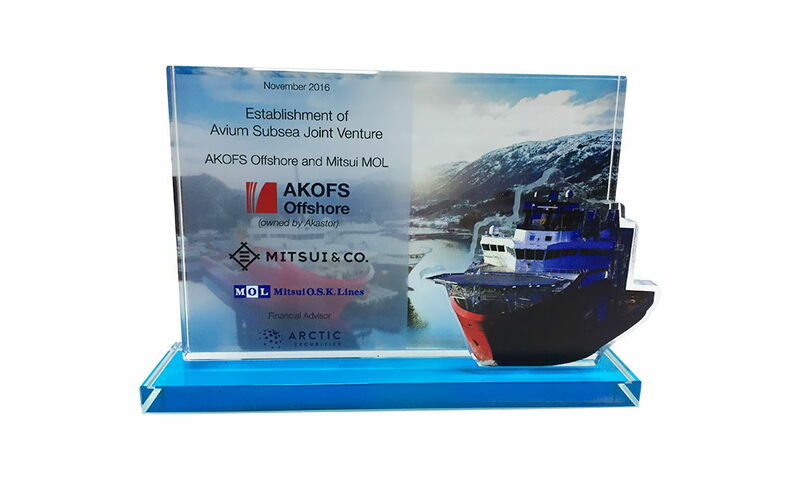 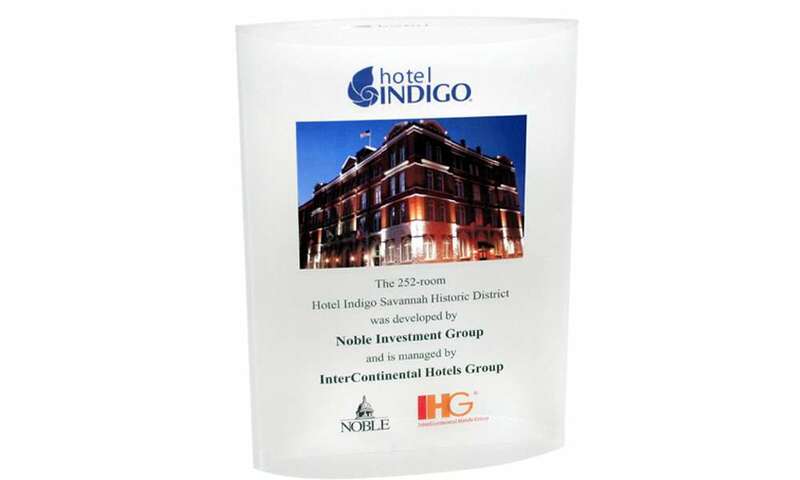 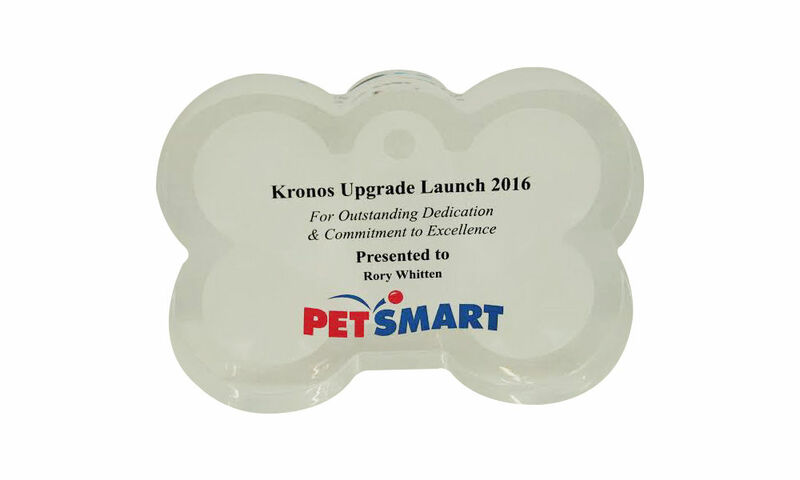 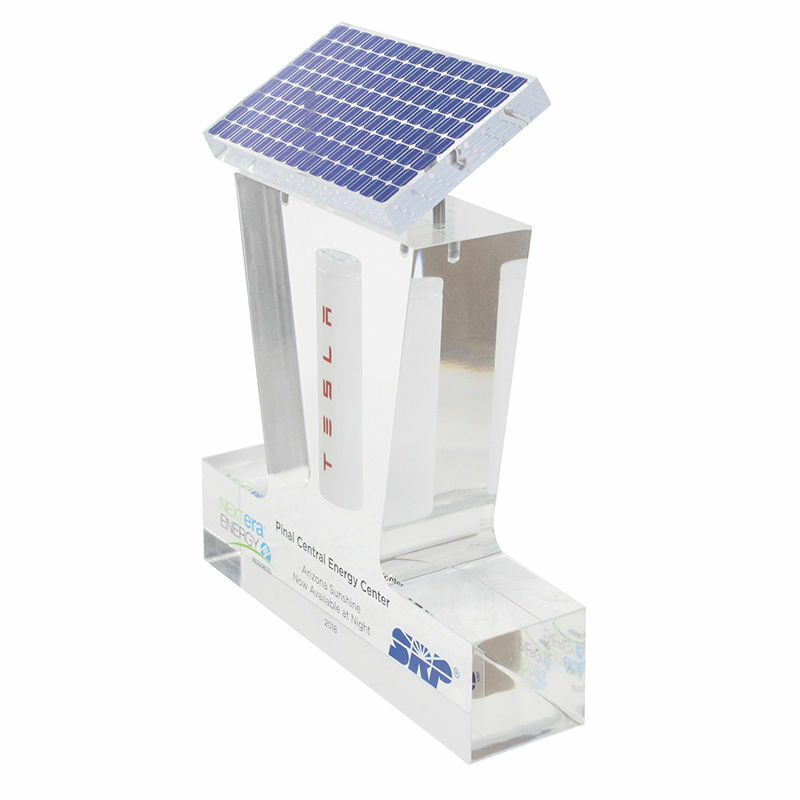 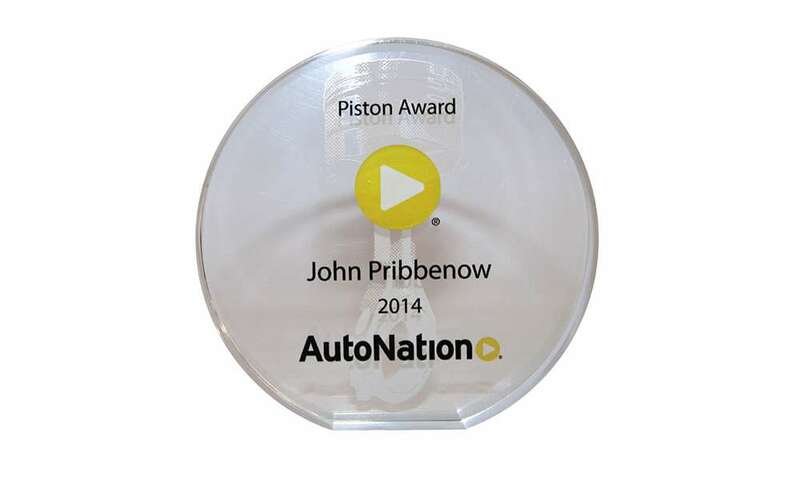 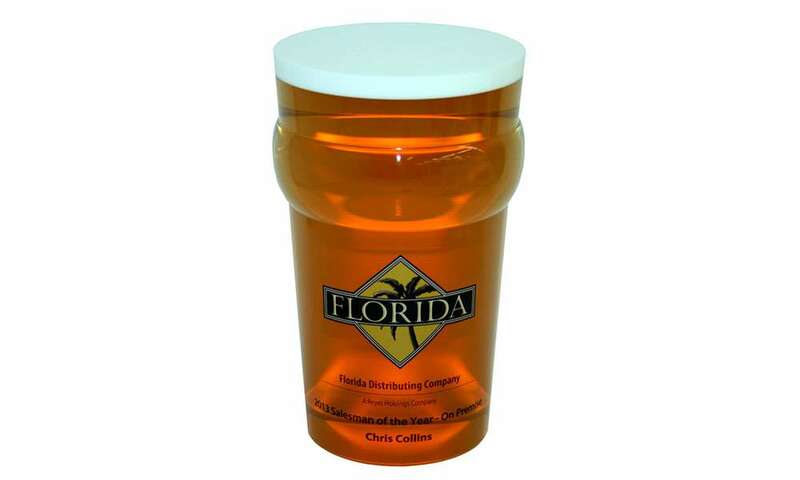 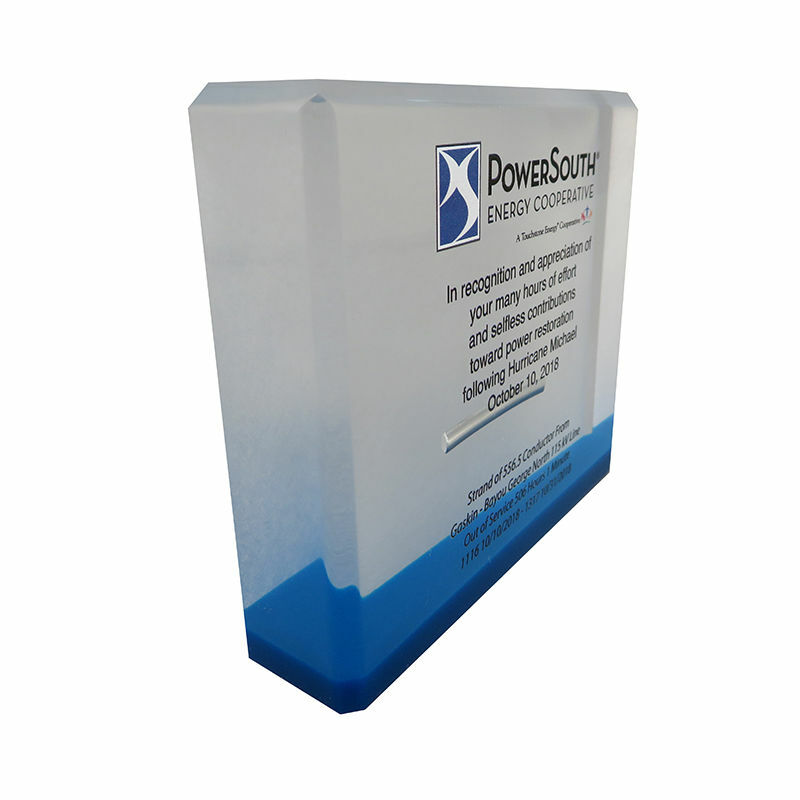 Custom acrylic award marking project success at Instor Solutions. 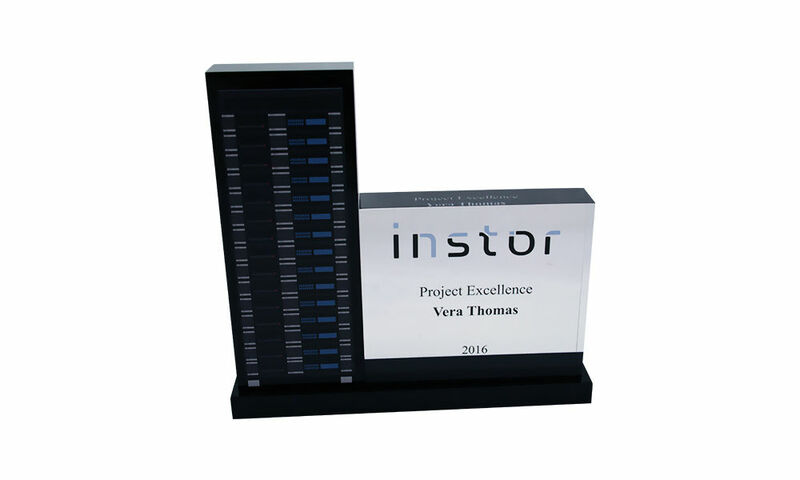 Based in Freemont, California, Instor provides data center infrastructure consulting services. 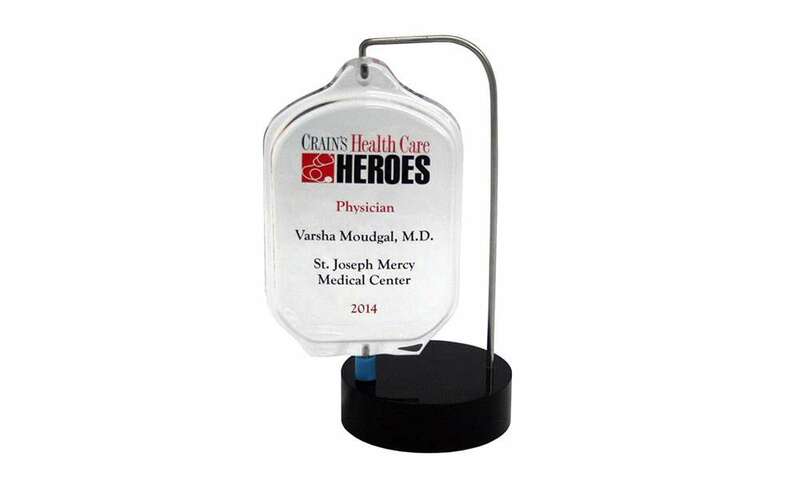 Crain's Health Care Heroes Award. 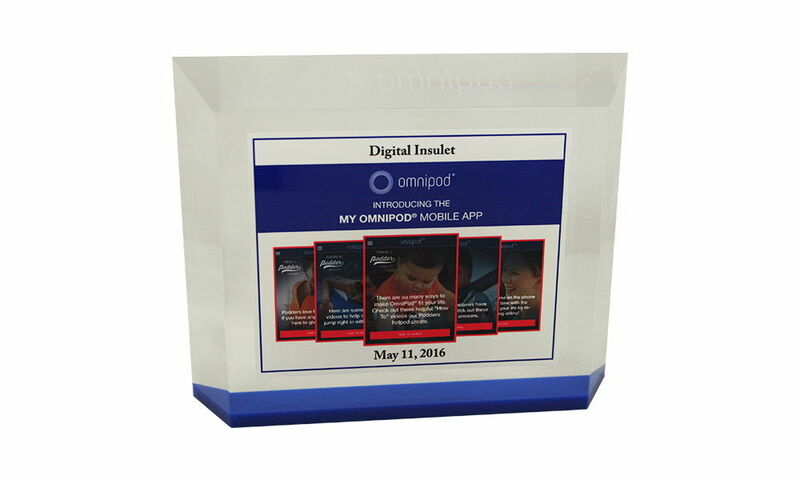 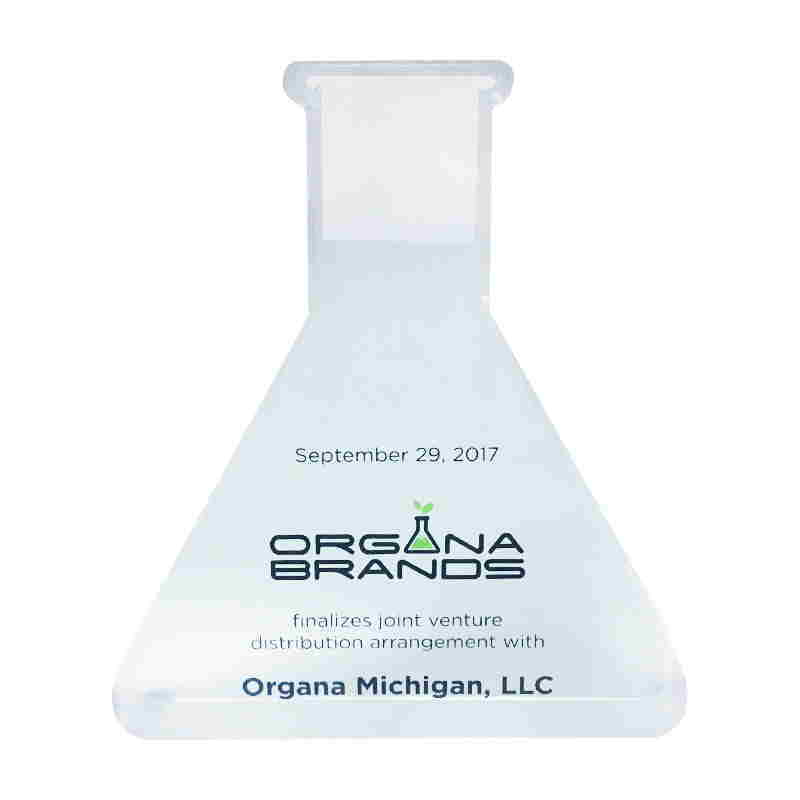 Custom acrylic award celebrating the launch of a new online user app and patform for patients using Omnipod insulin pump technology. 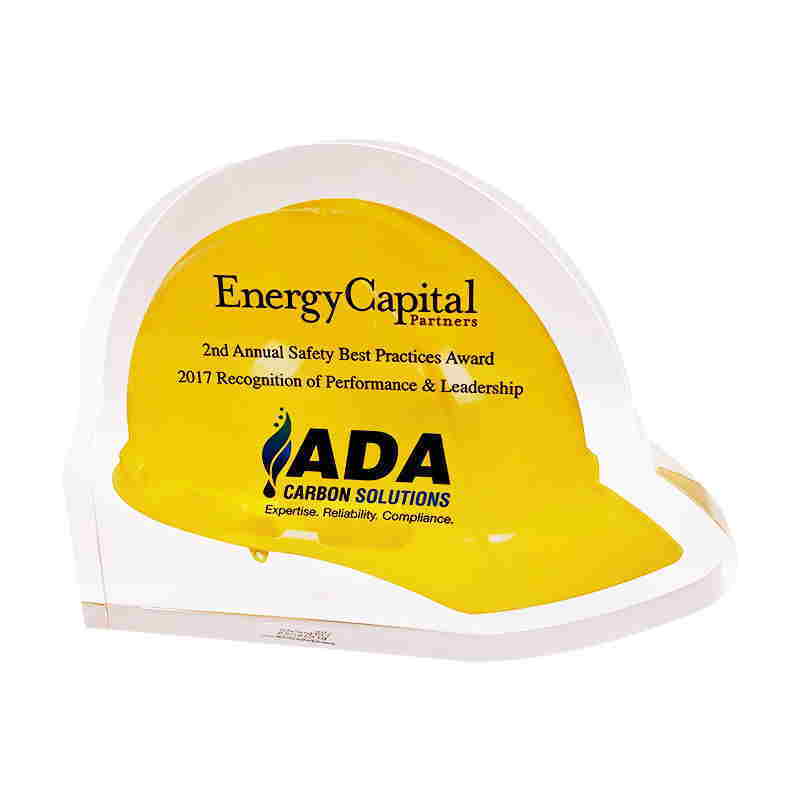 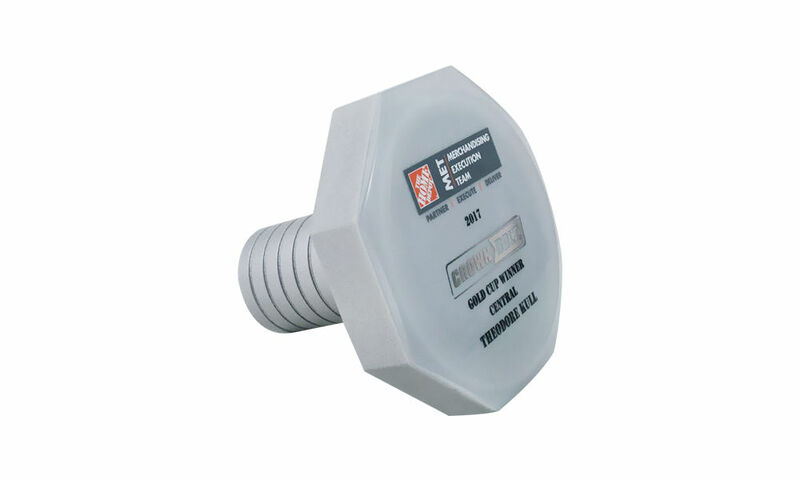 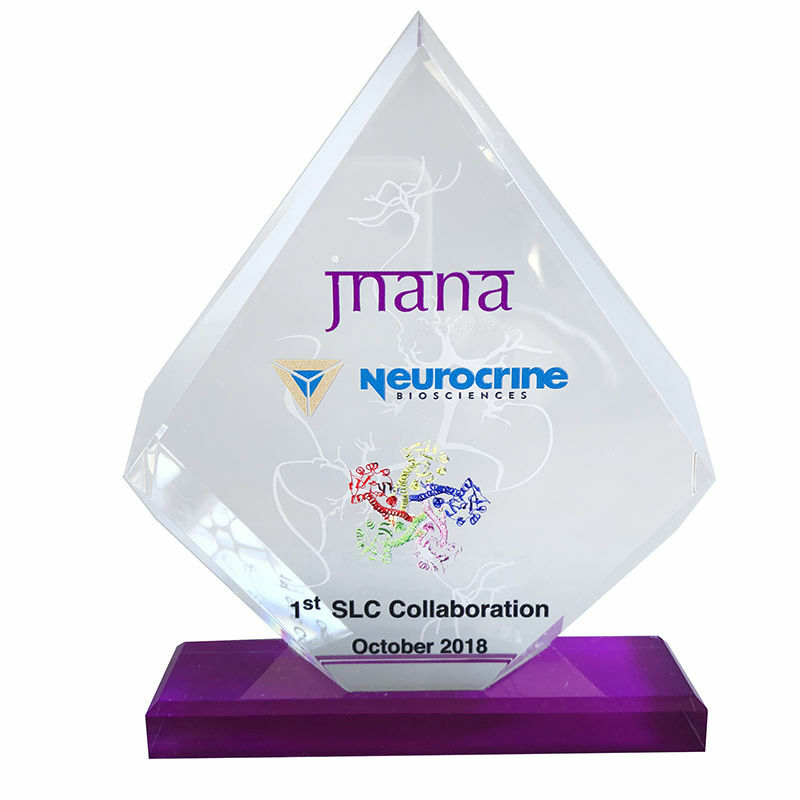 Hard hat-themed custom crystal safety award presented by chemical company ADA Carbon Solutions. 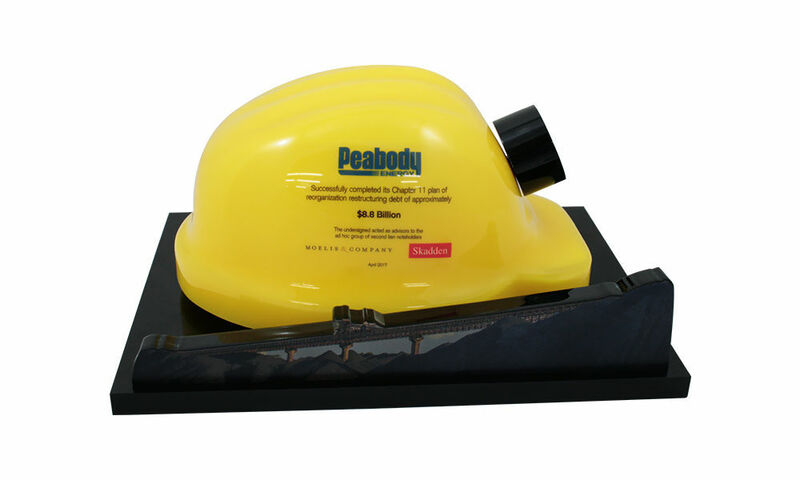 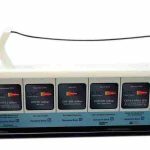 The company, which is owned by the private equity firm Energy Capital Partners, produces carbons used in removing mercury emissions from coal-fired power plants. 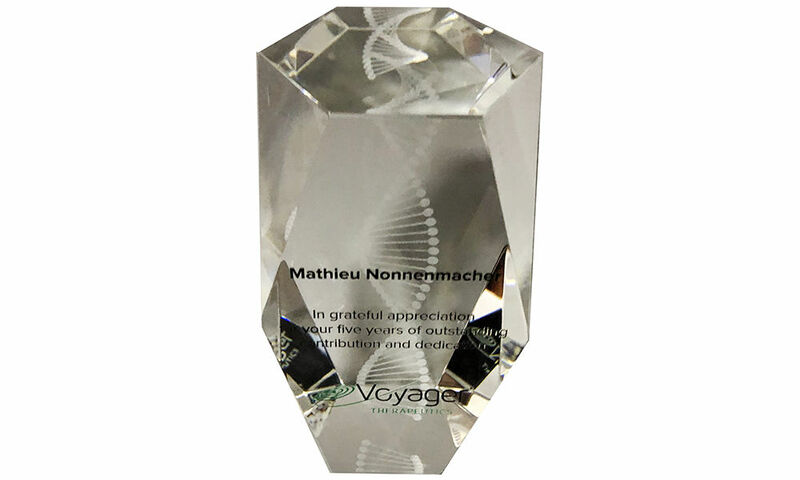 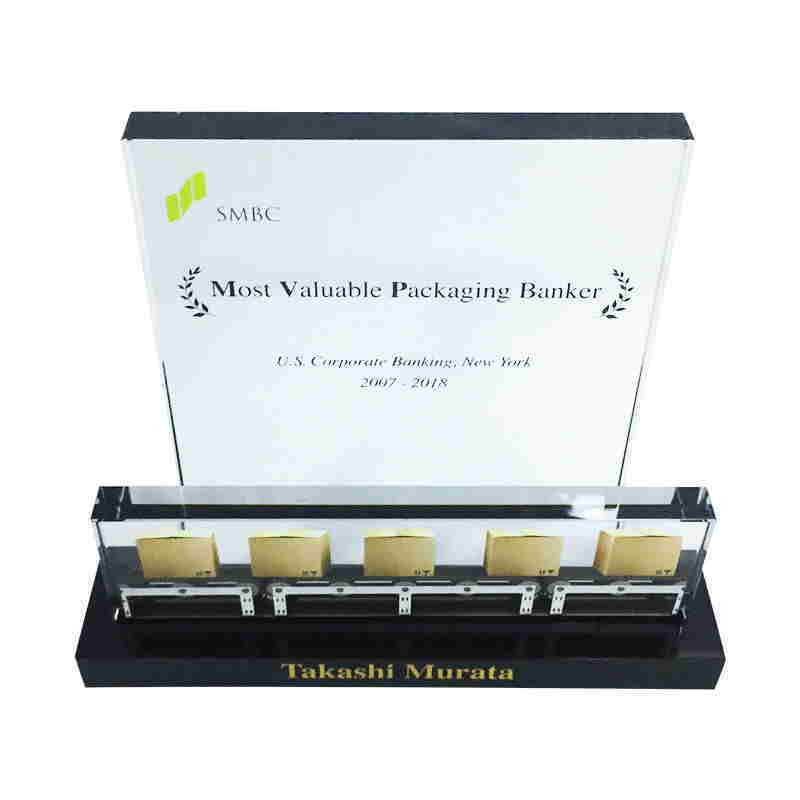 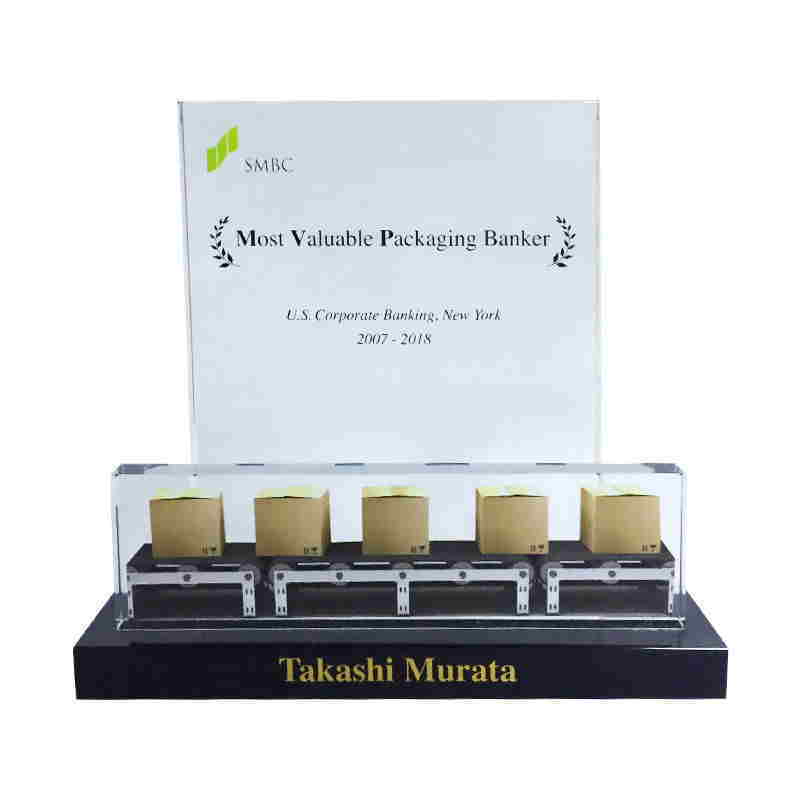 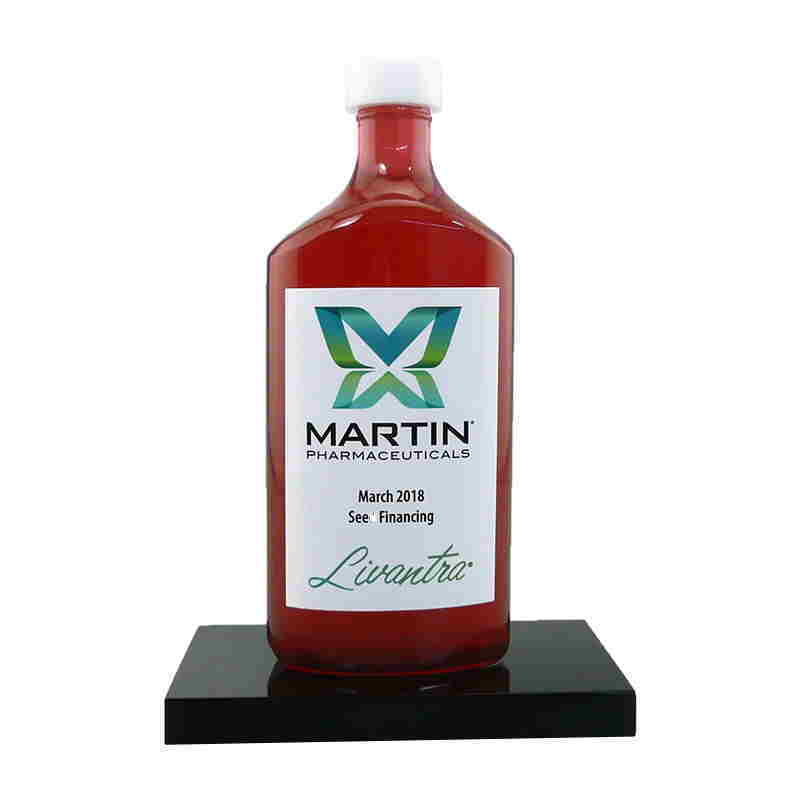 Bottle-themed custom acrylic award recognizing seed financing for Martin Pharmaceuticals. 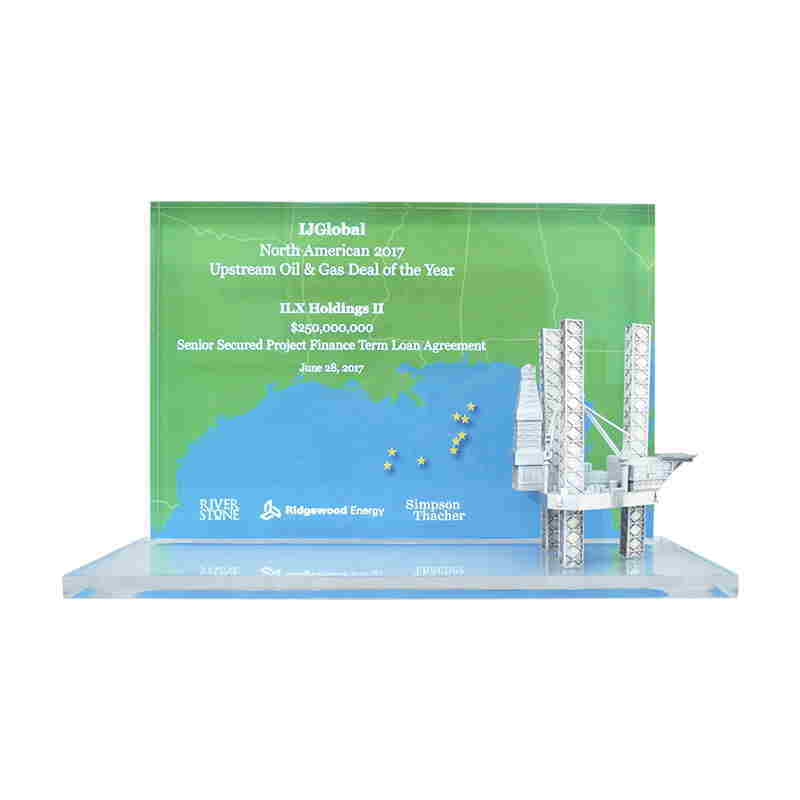 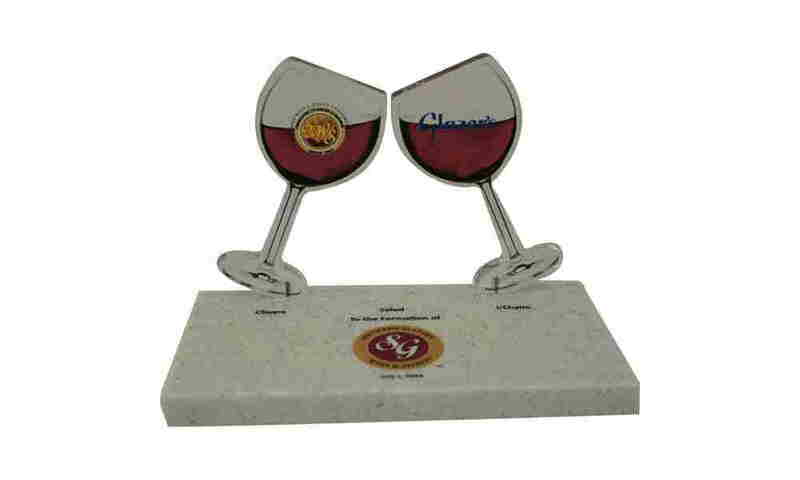 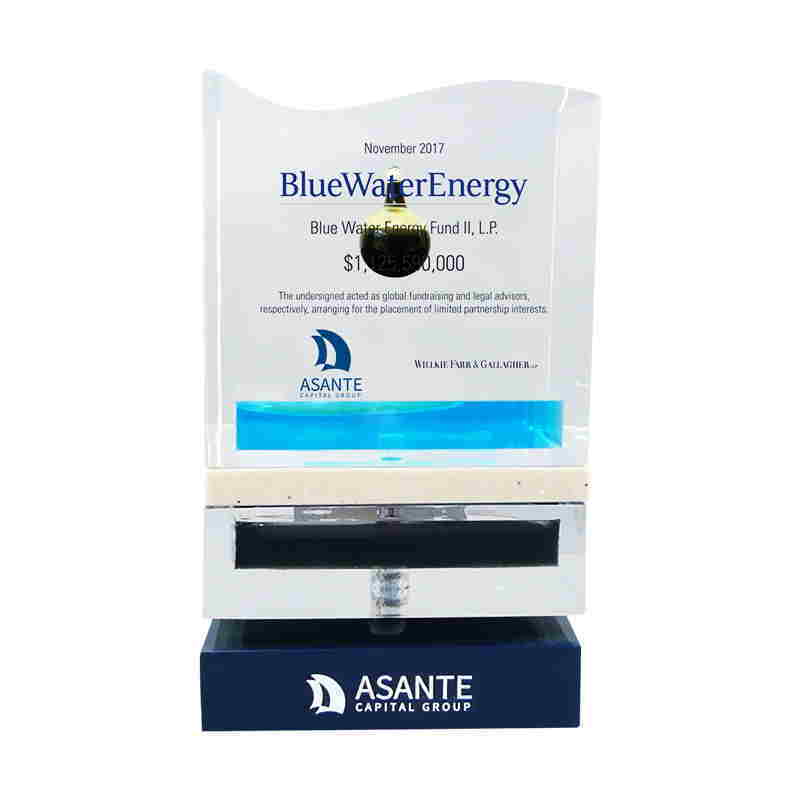 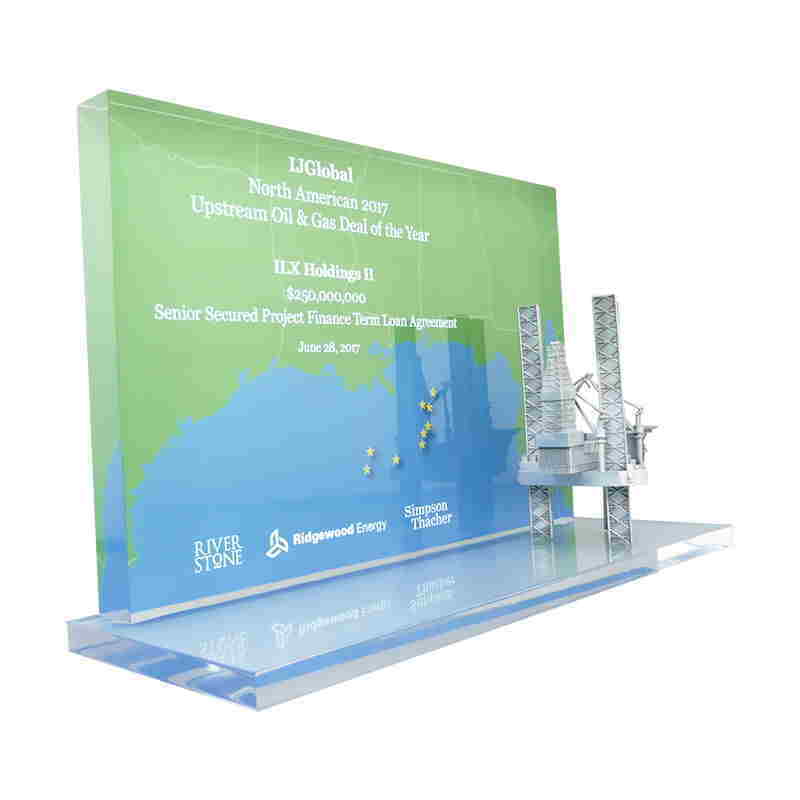 Louisiana-themed custom acrylic oil industry award with embedded oil drop.